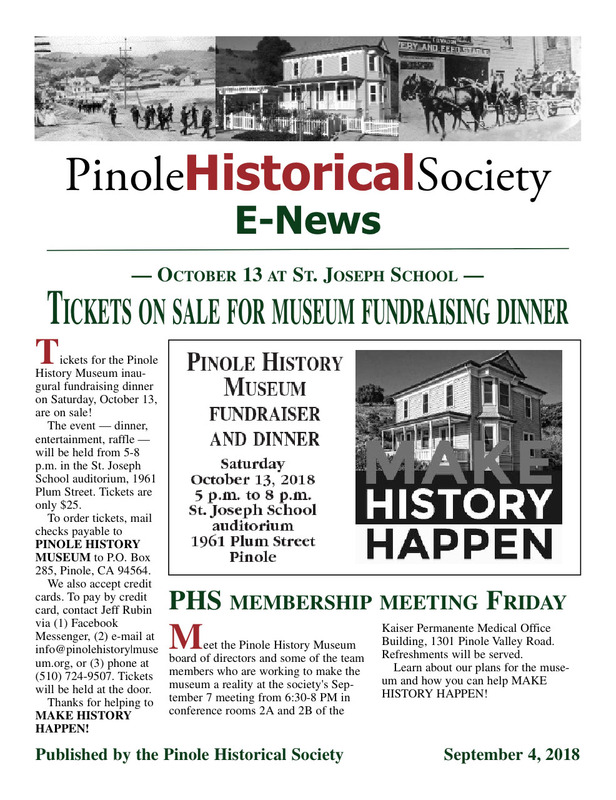 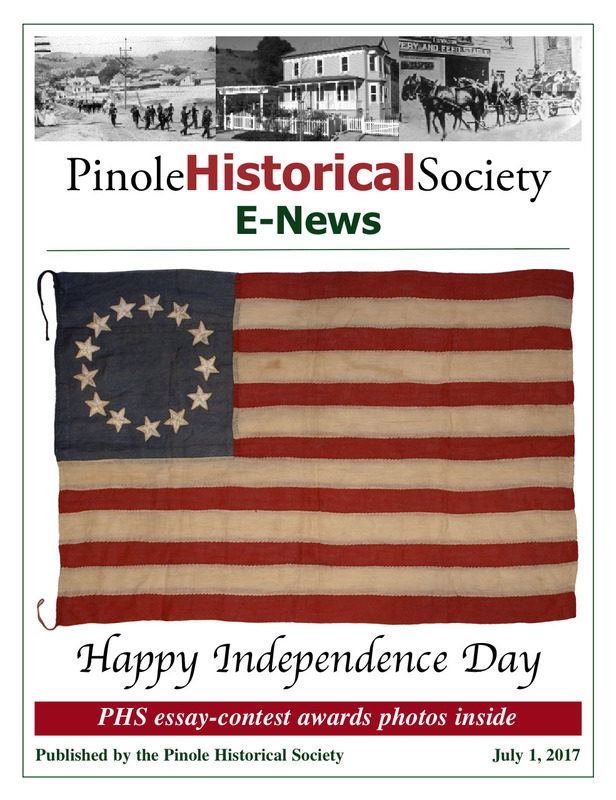 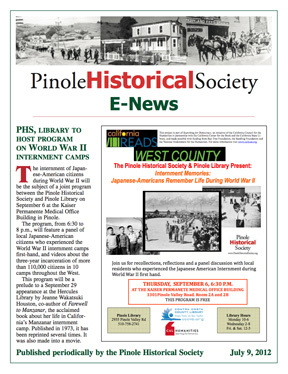 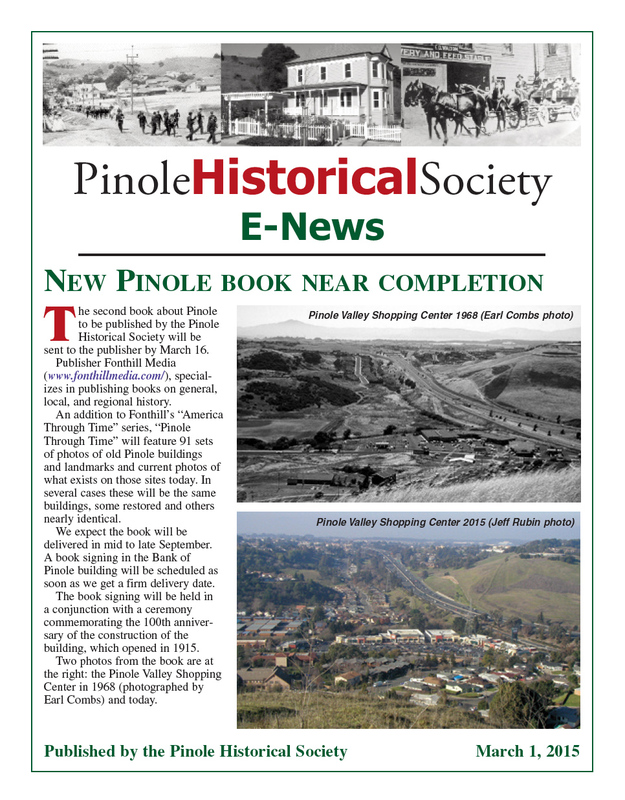 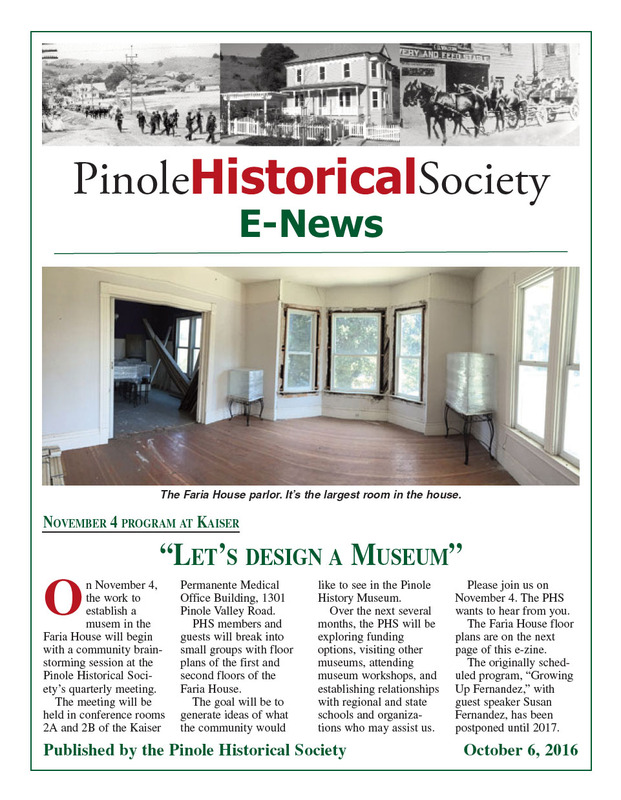 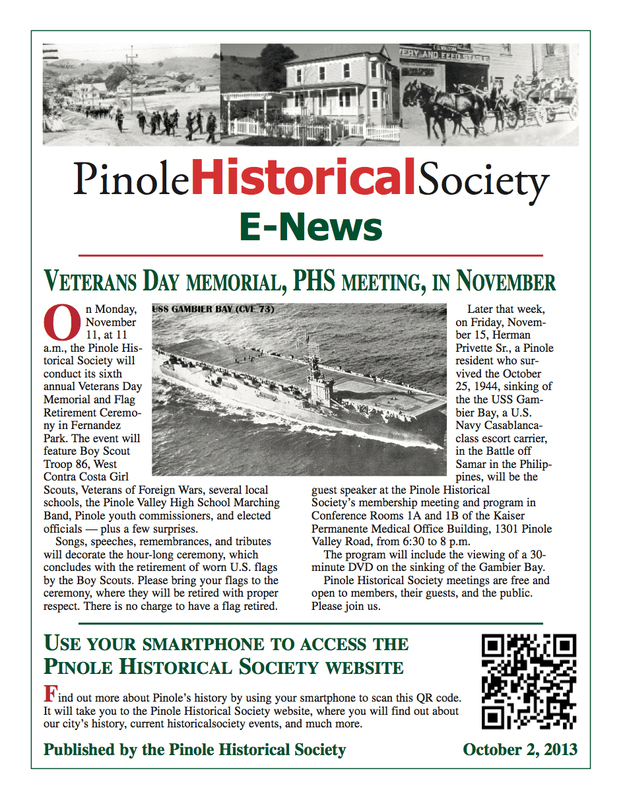 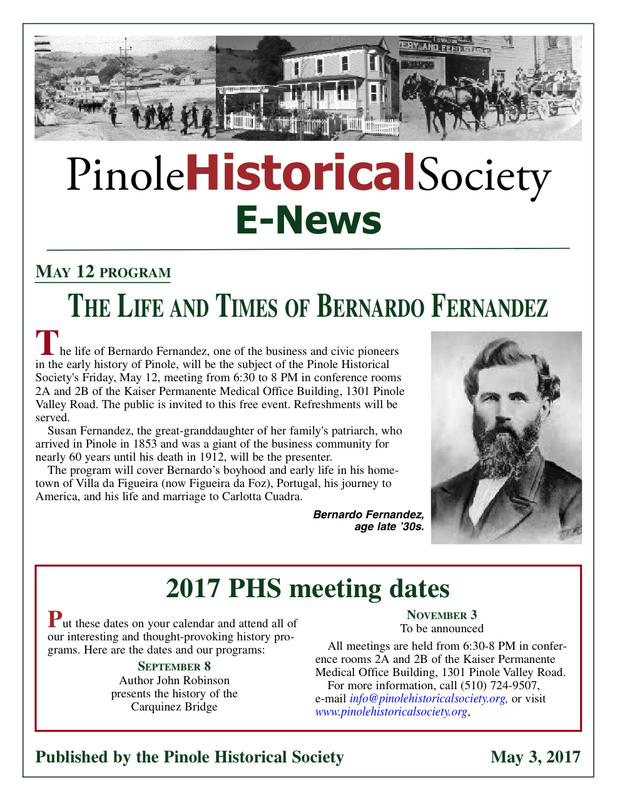 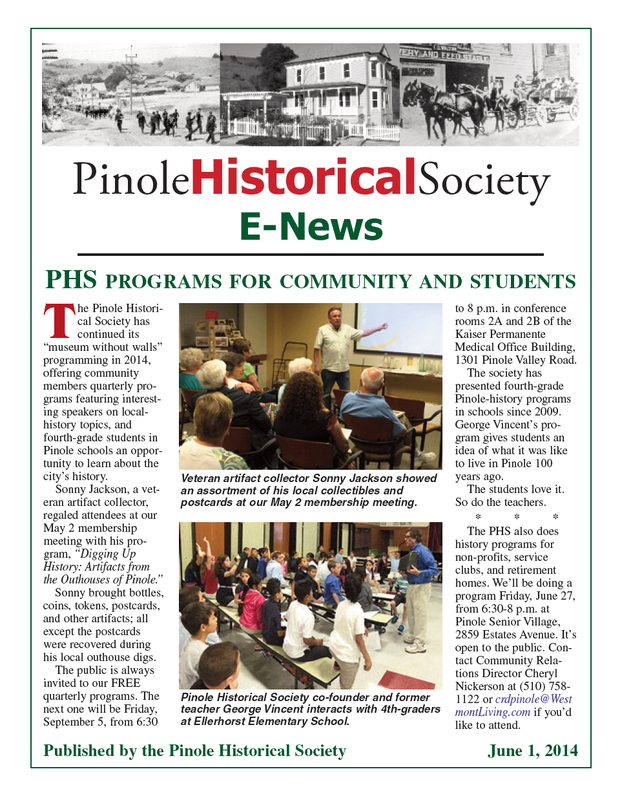 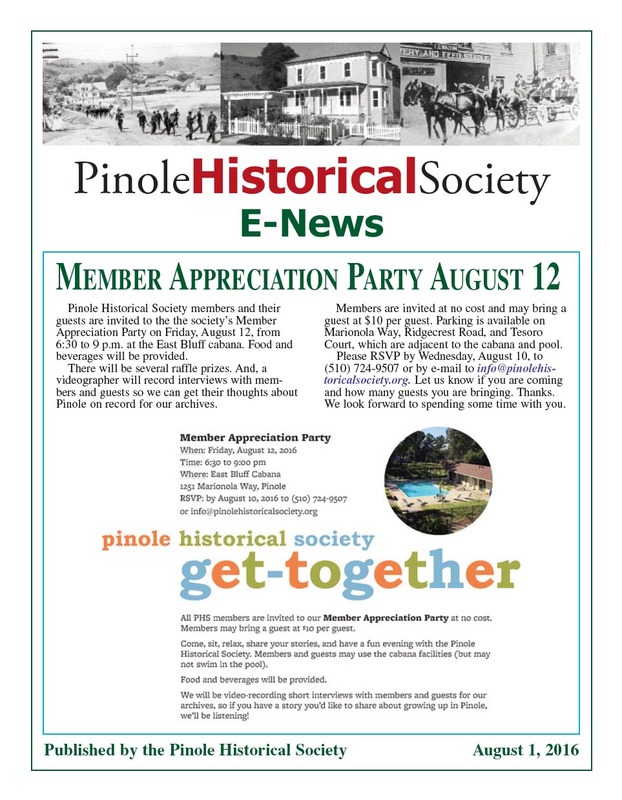 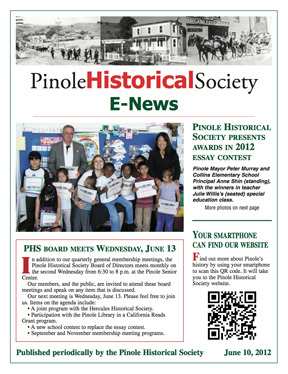 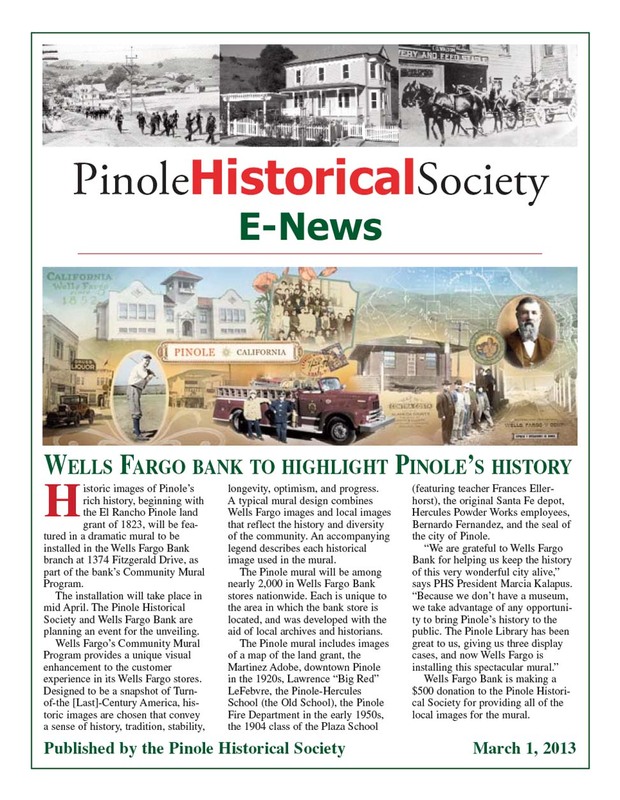 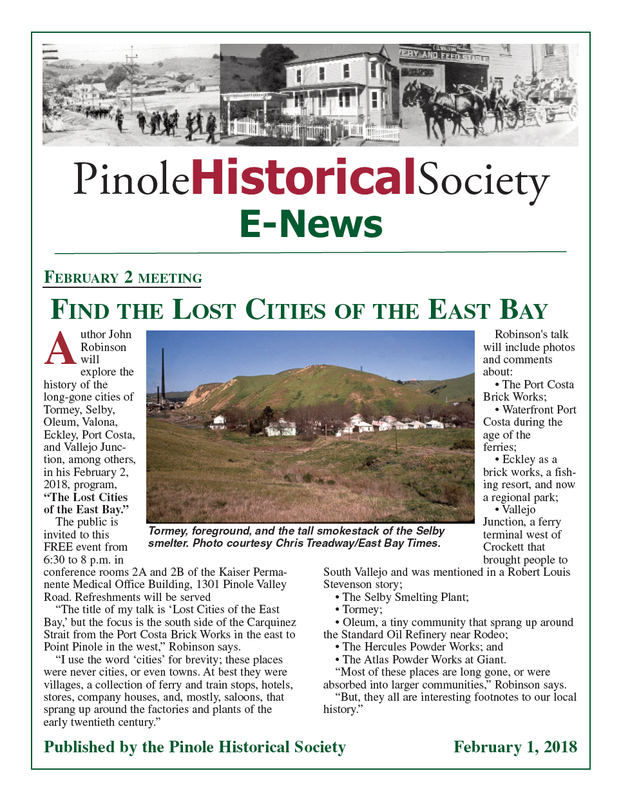 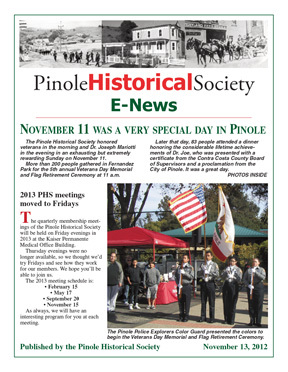 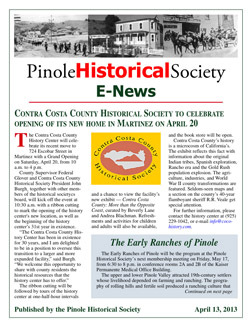 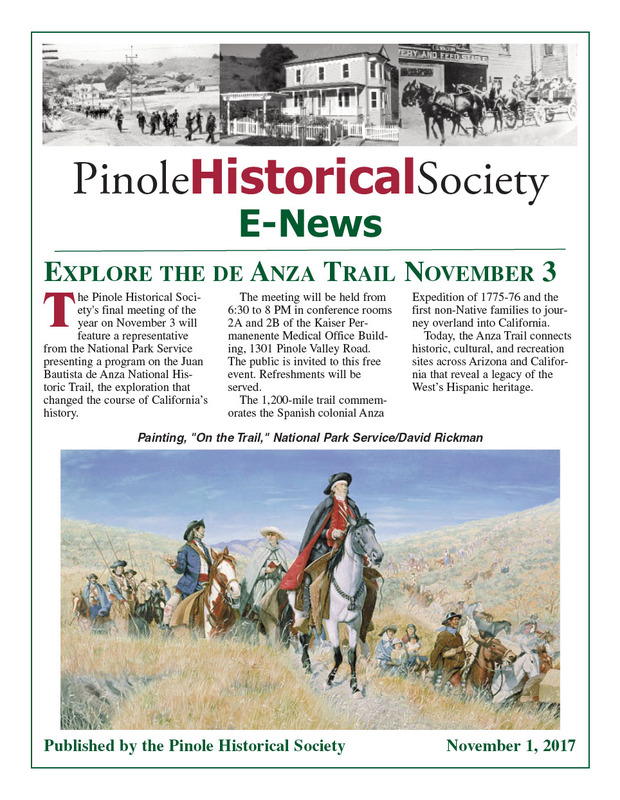 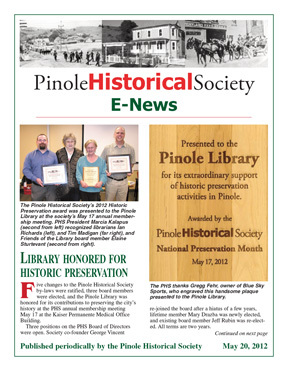 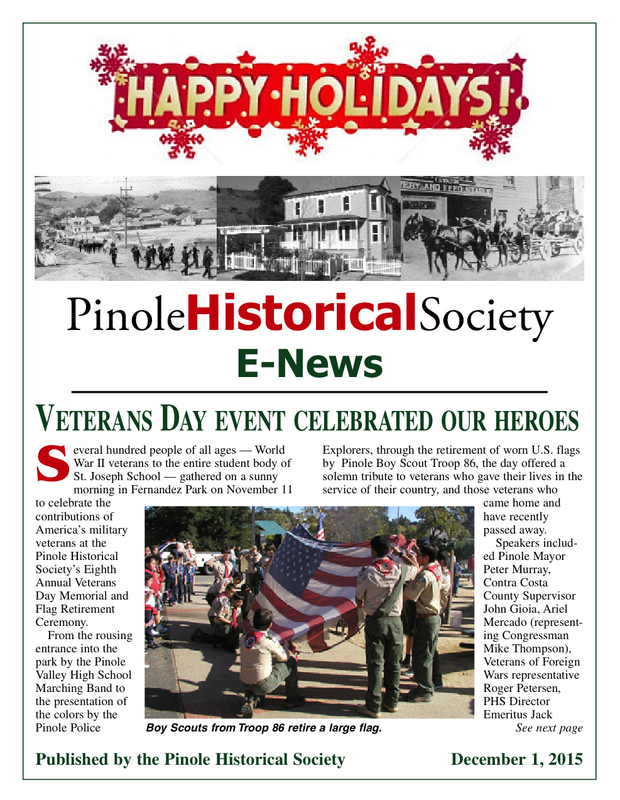 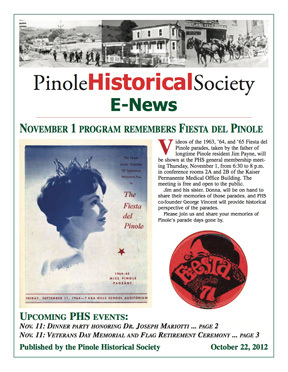 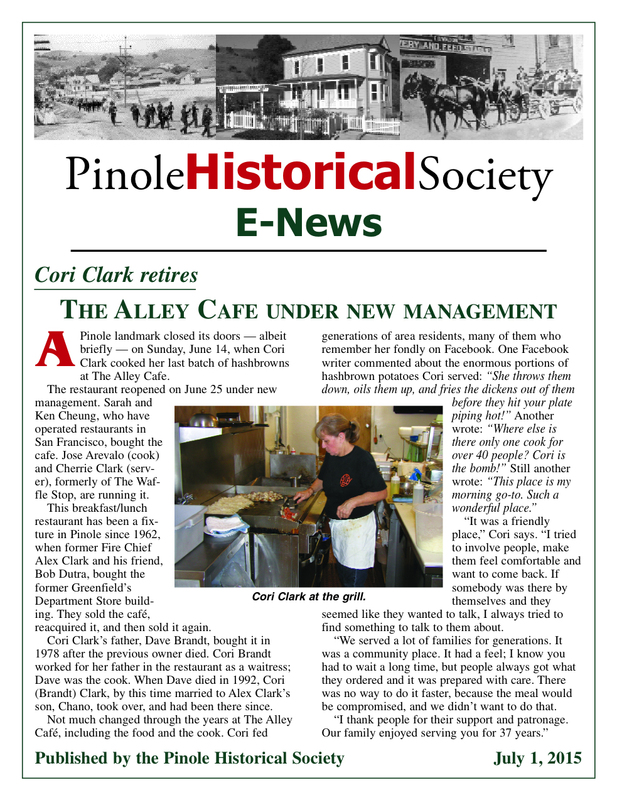 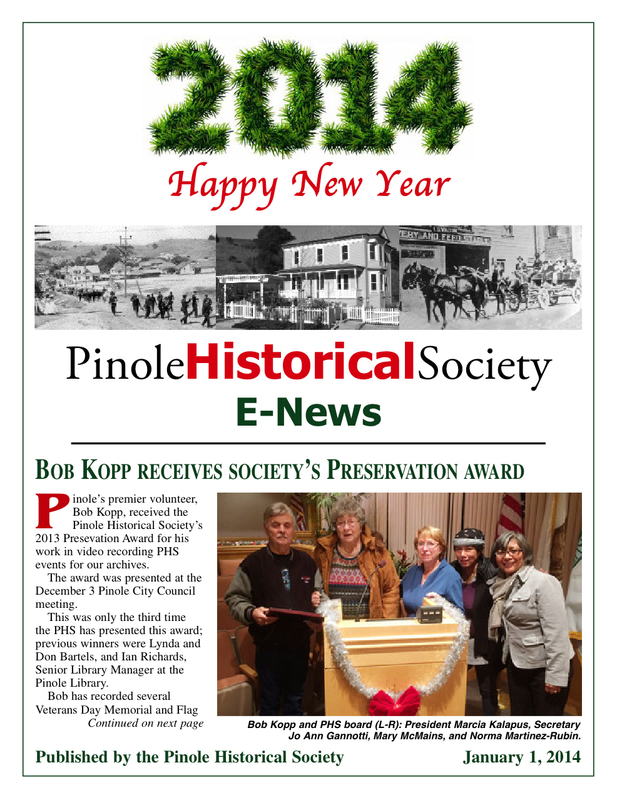 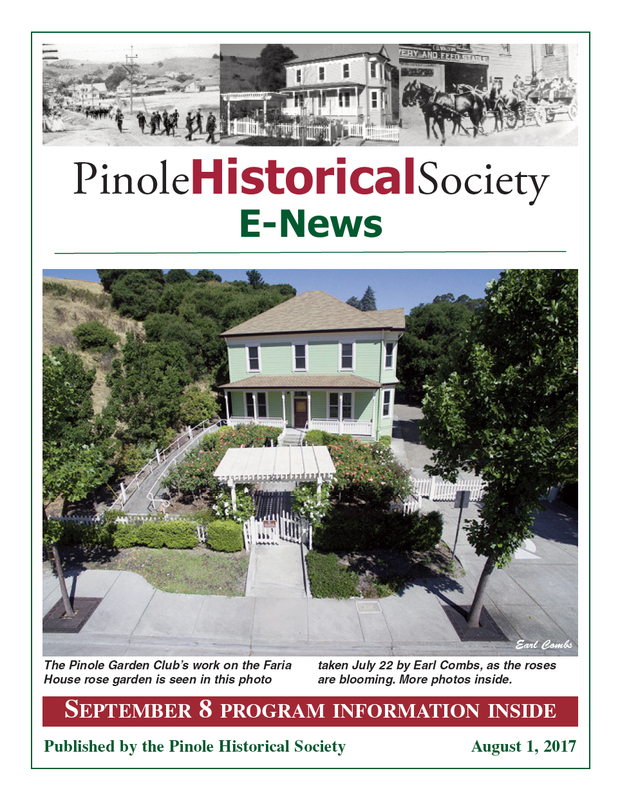 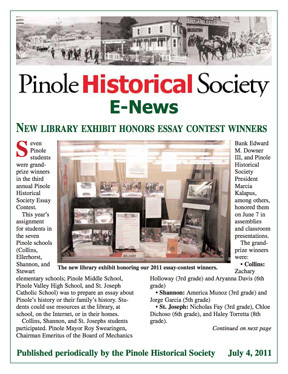 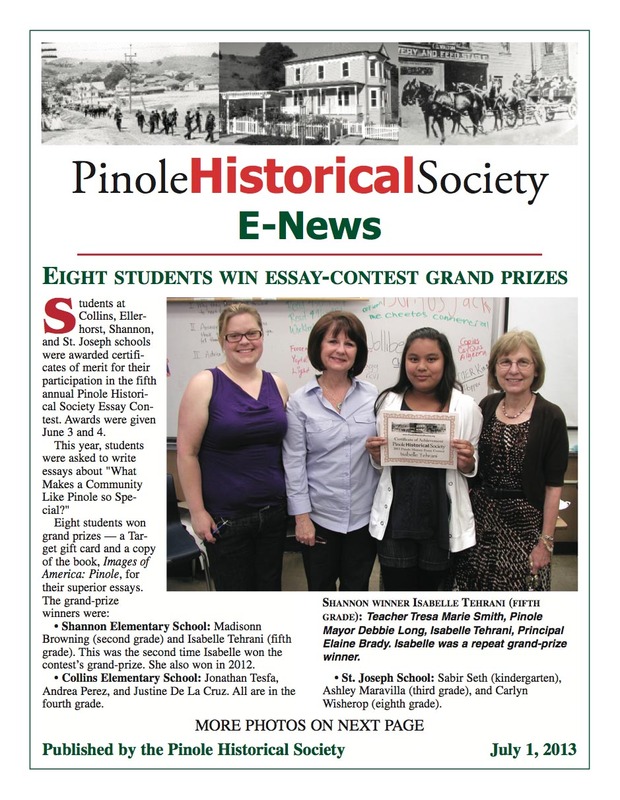 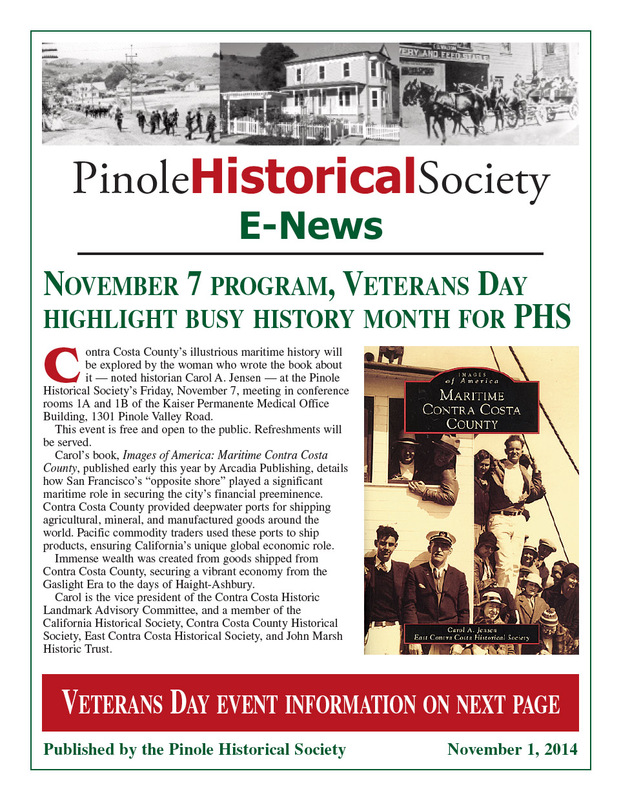 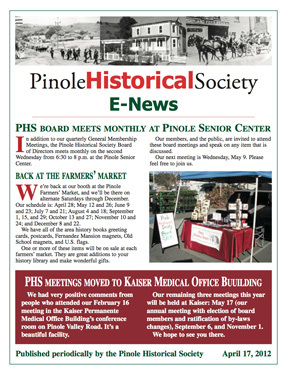 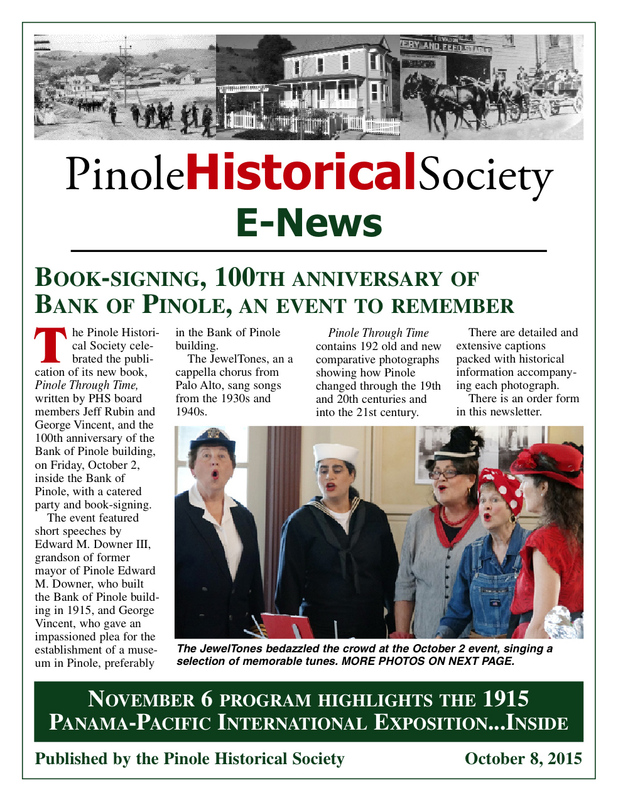 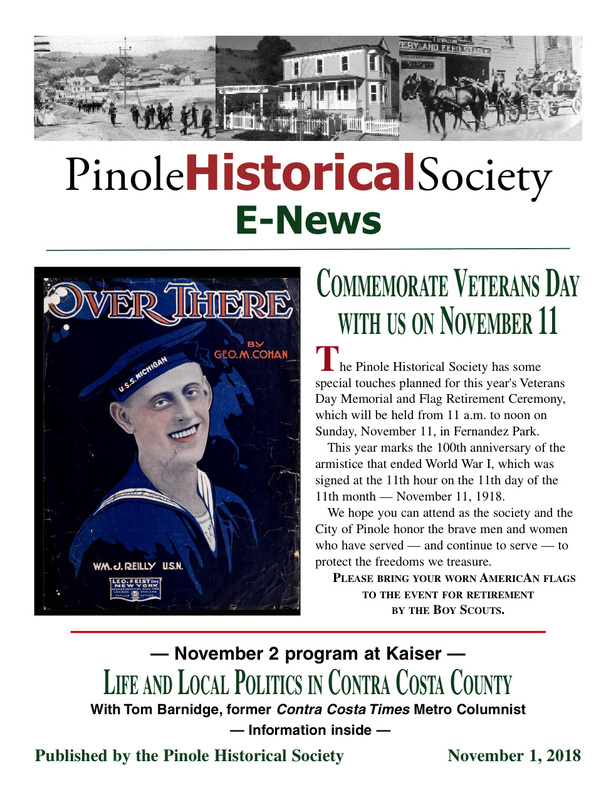 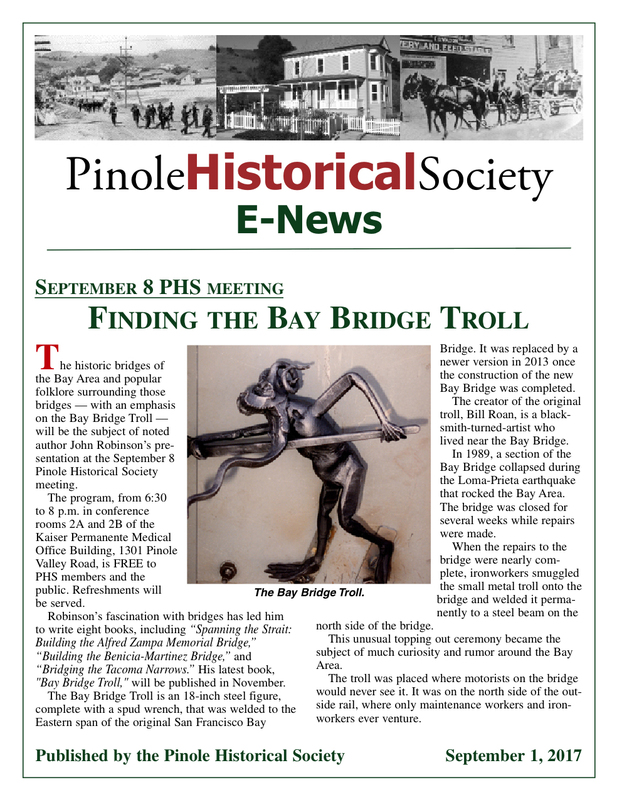 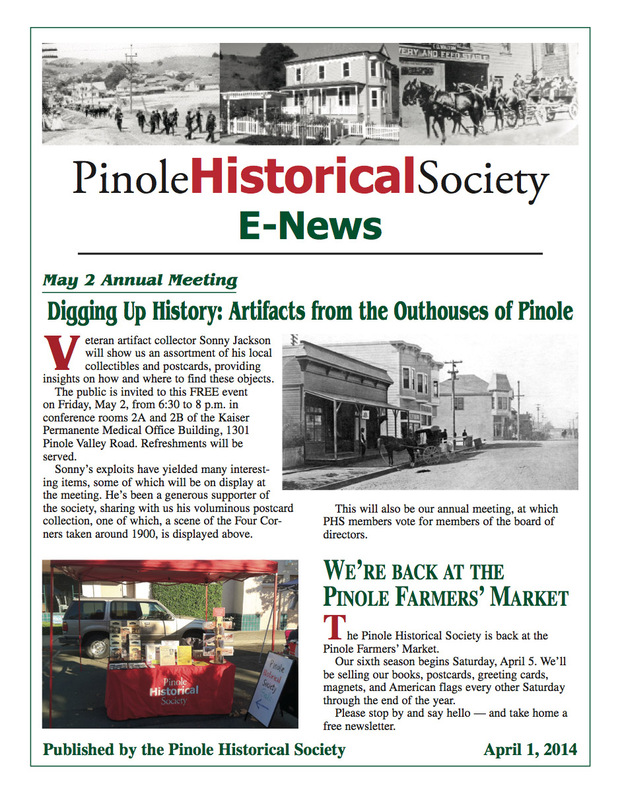 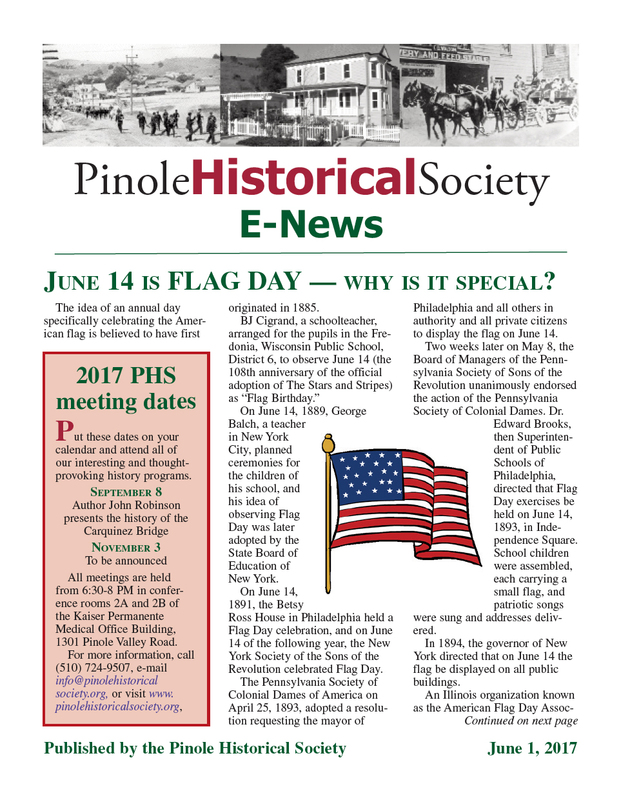 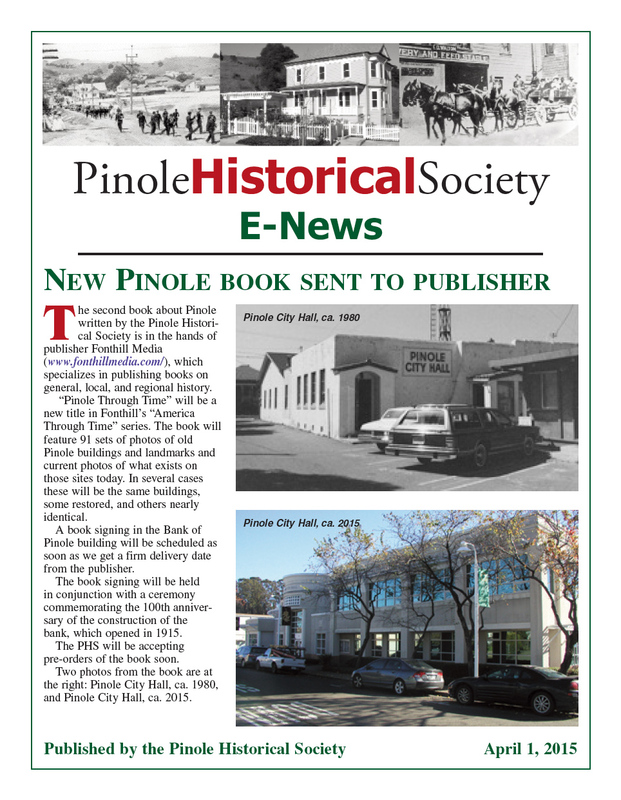 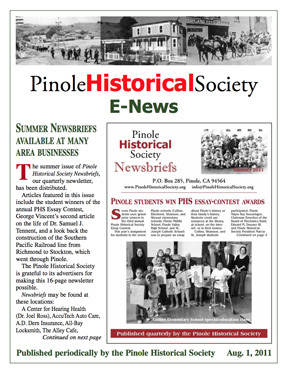 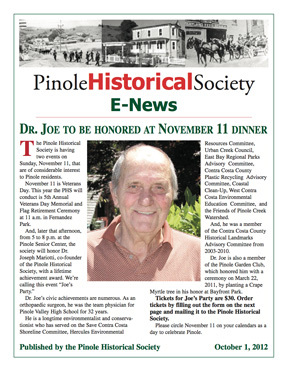 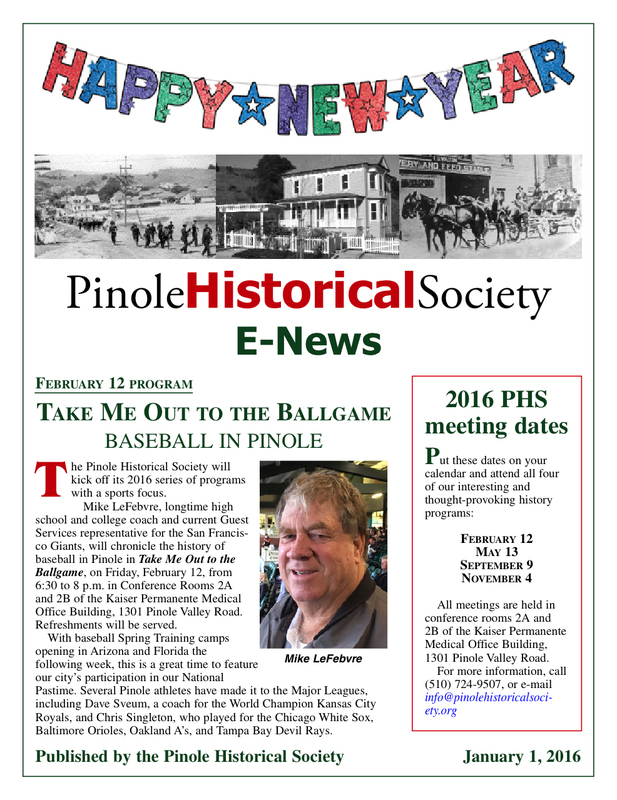 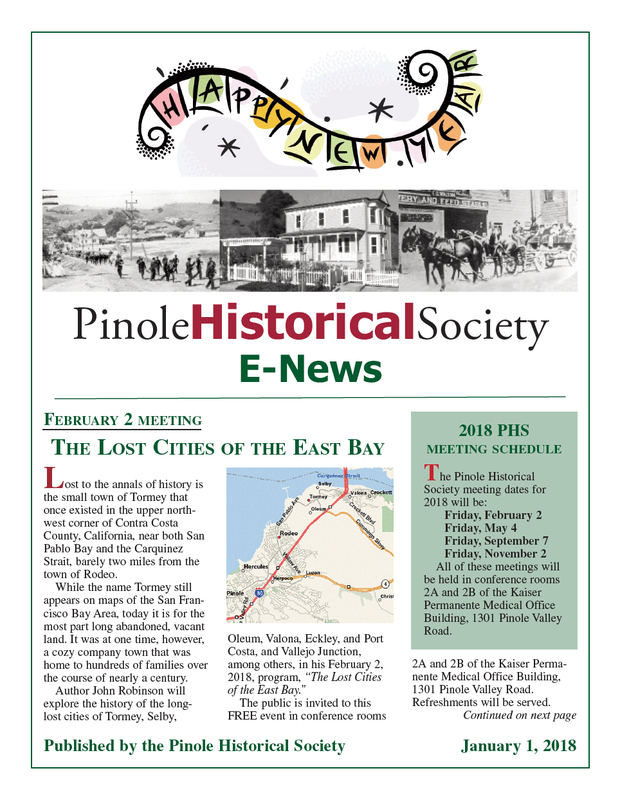 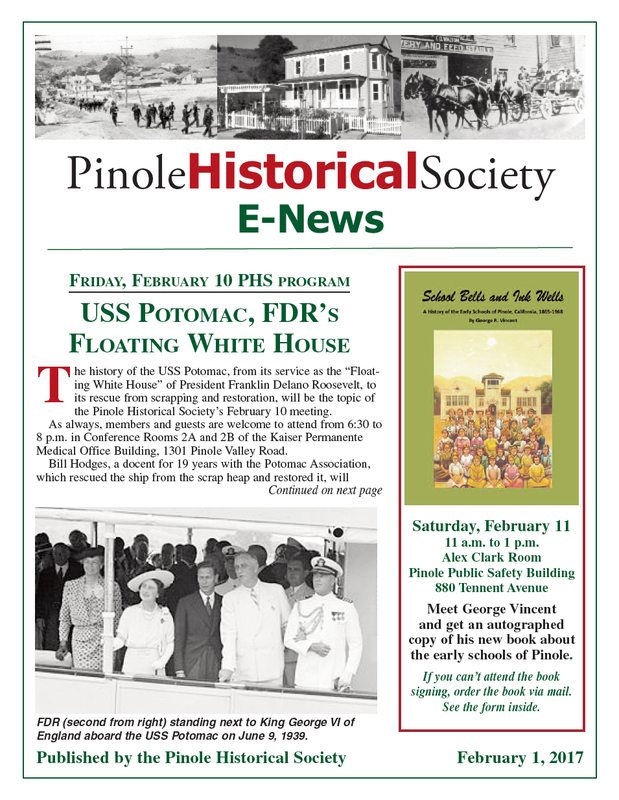 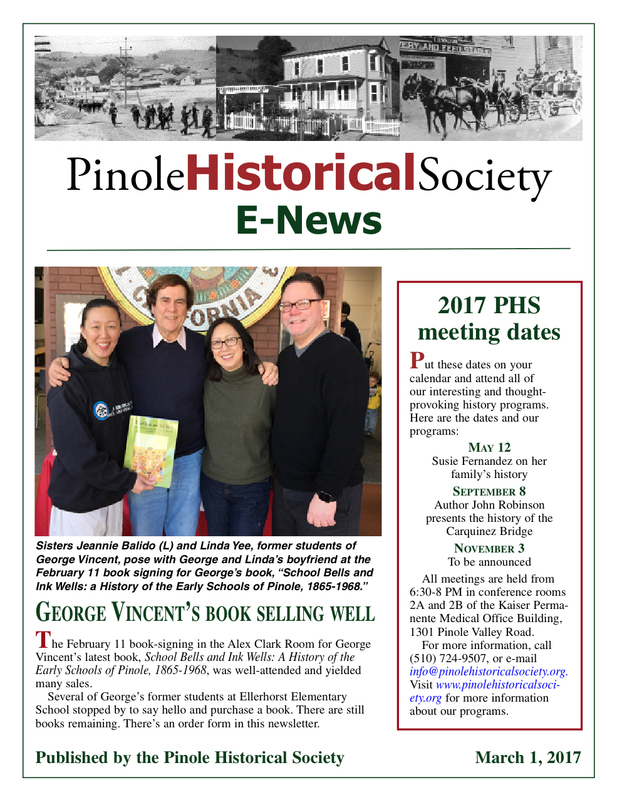 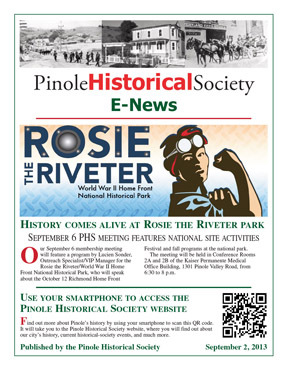 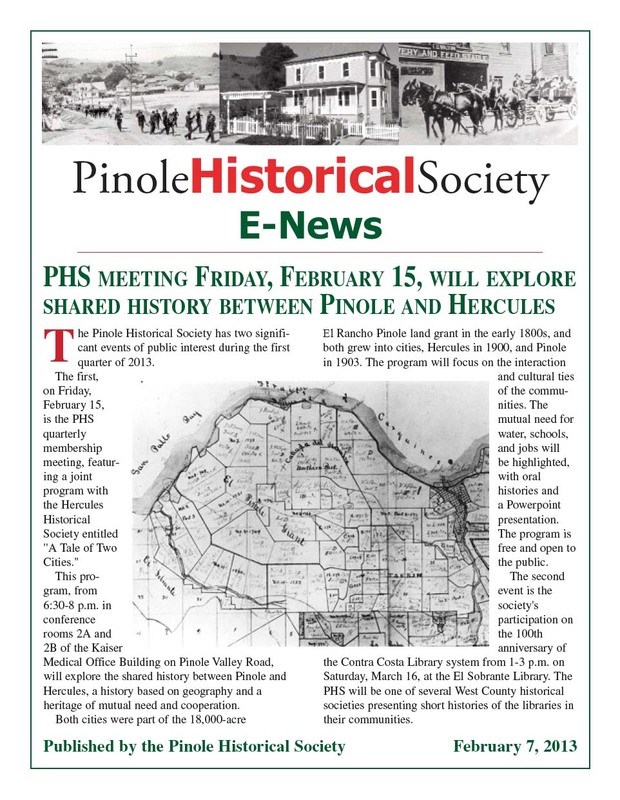 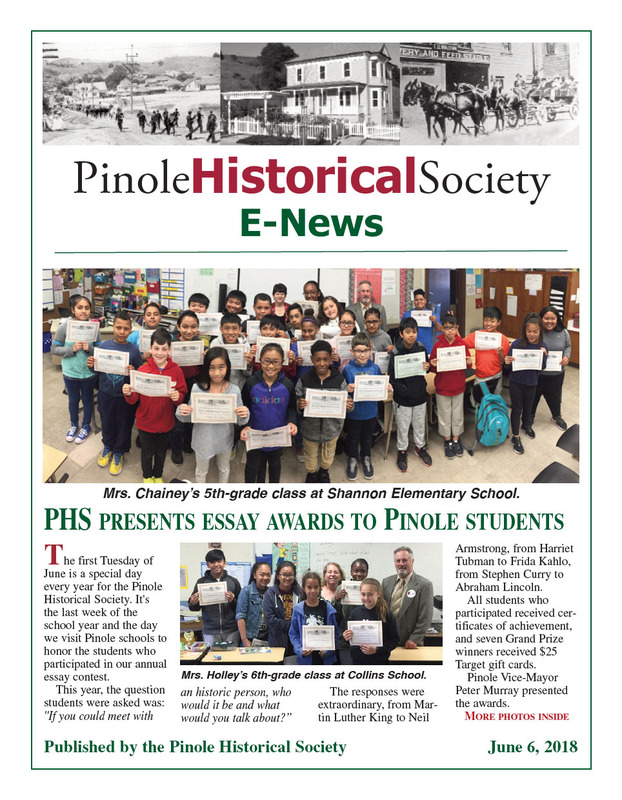 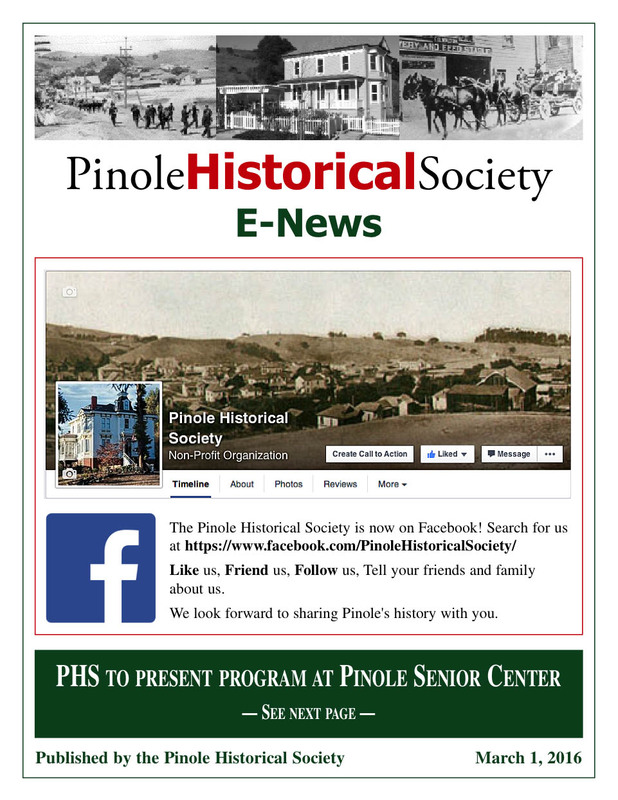 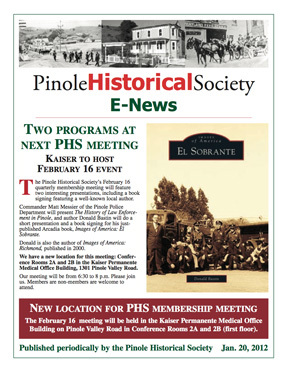 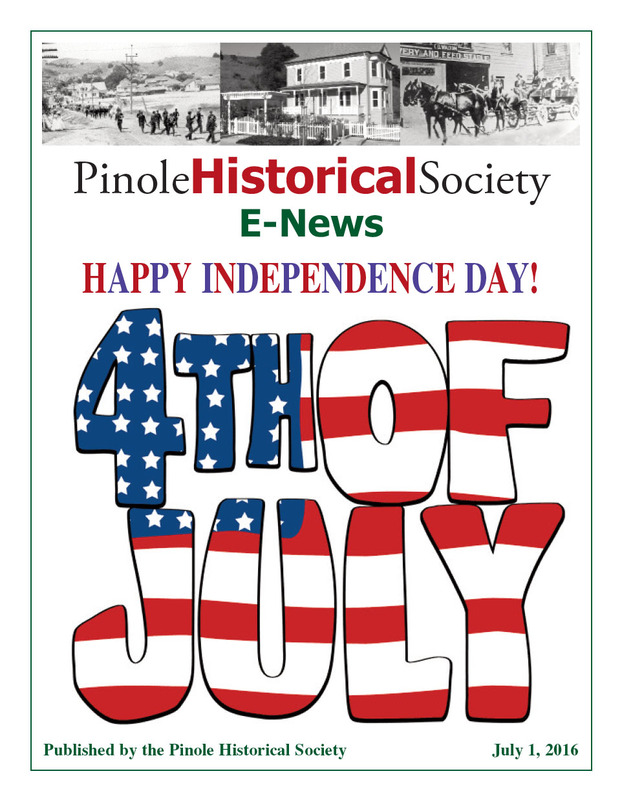 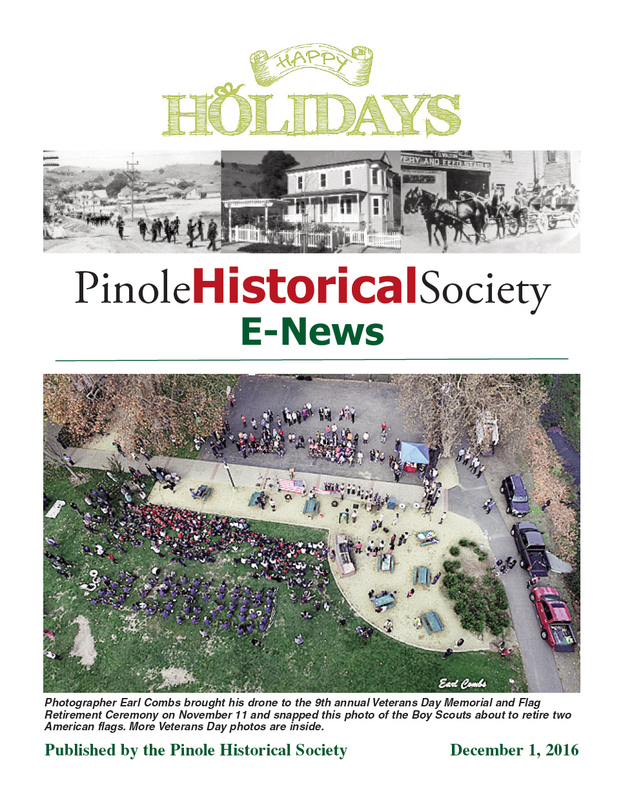 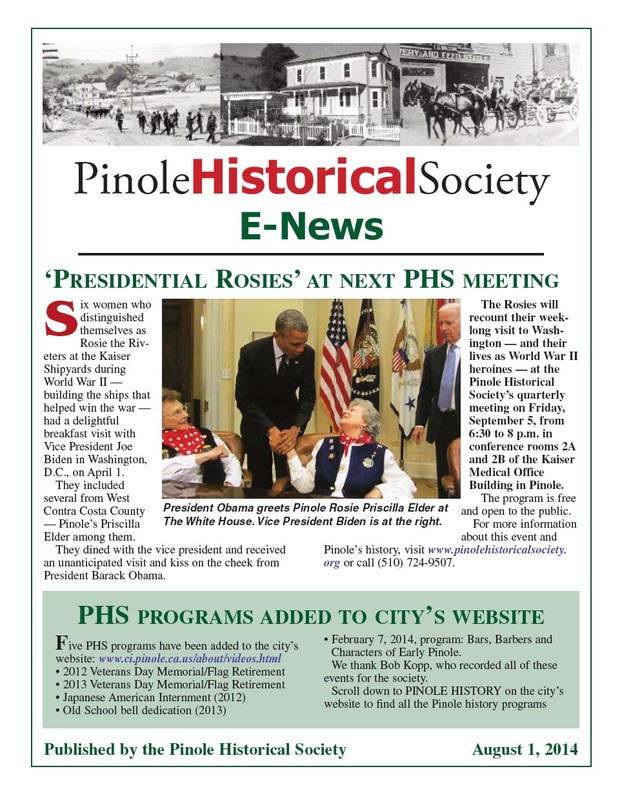 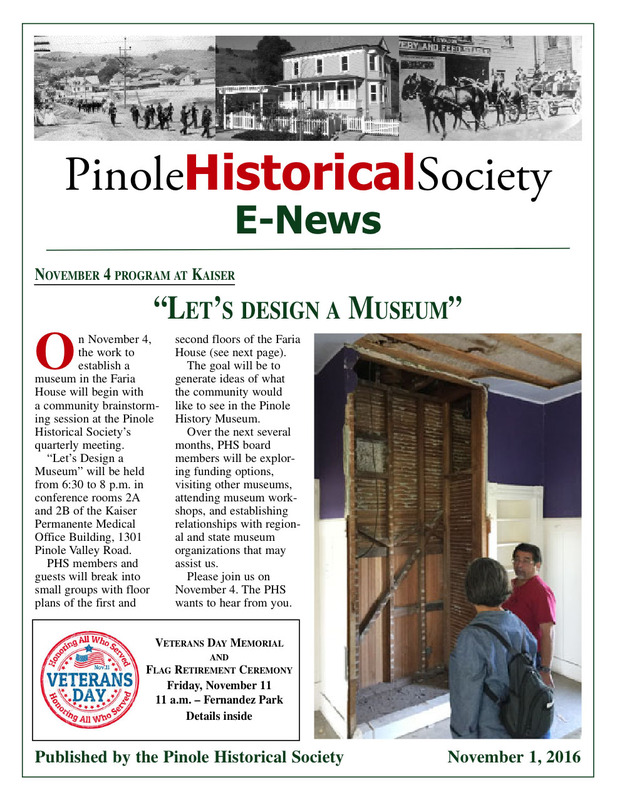 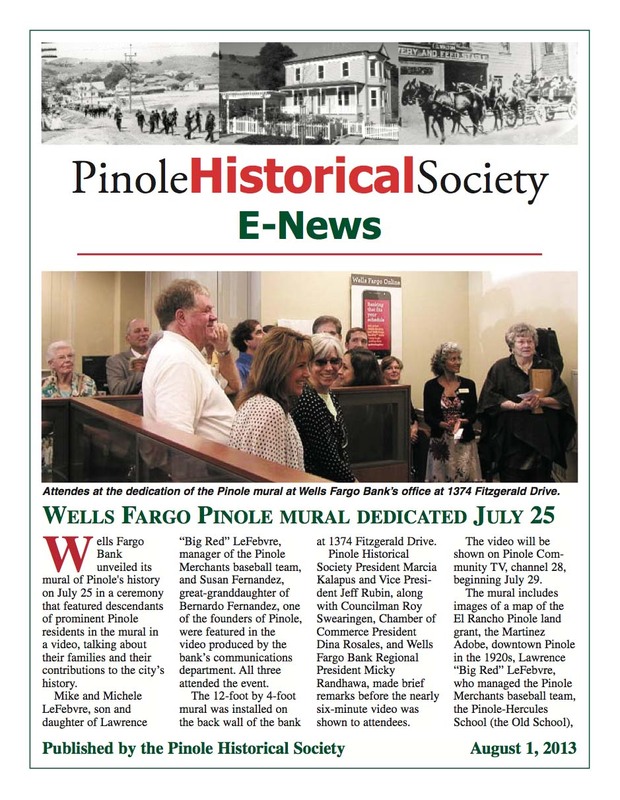 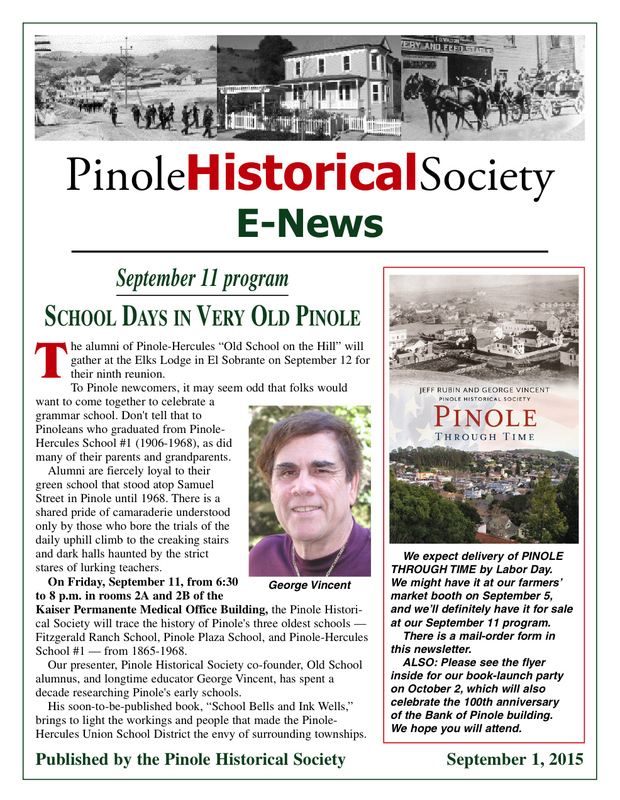 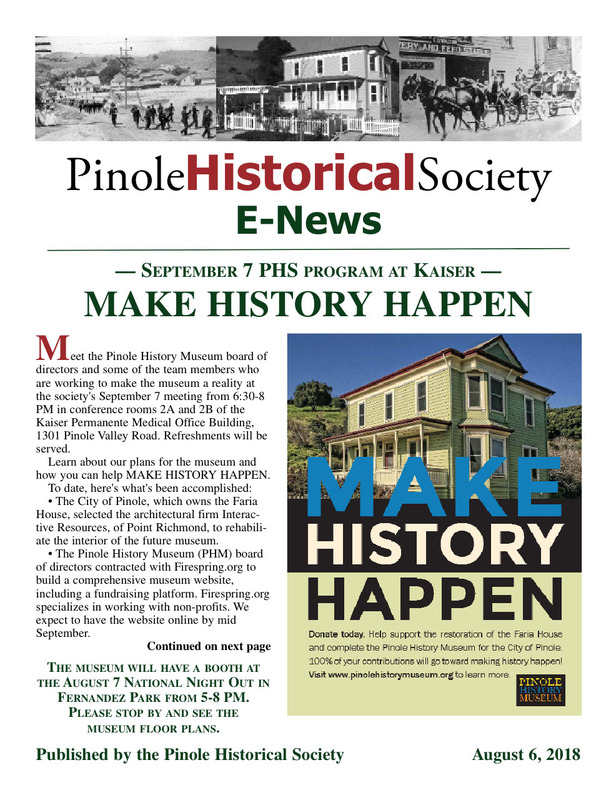 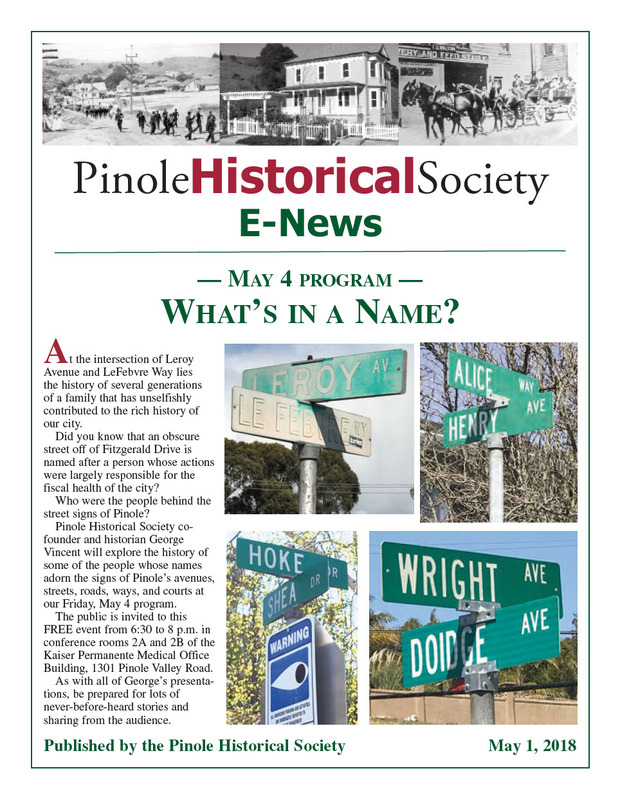 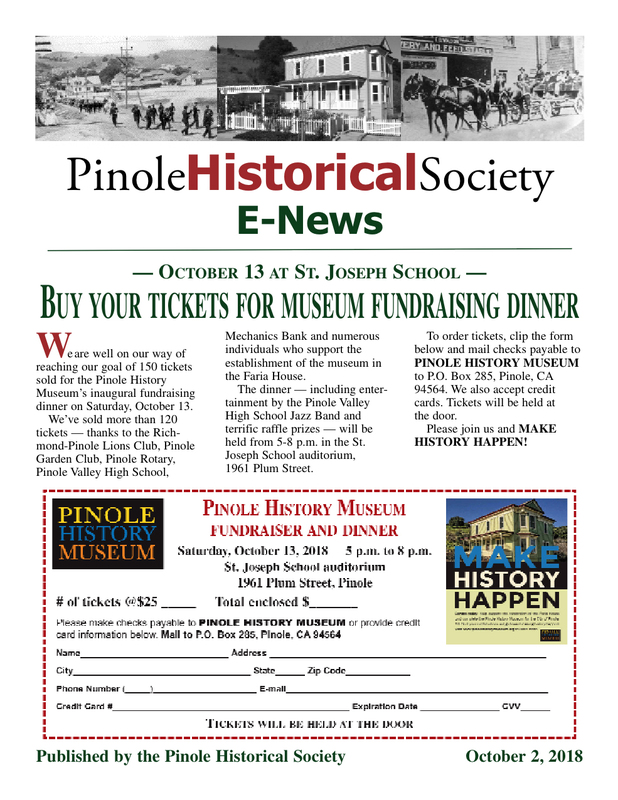 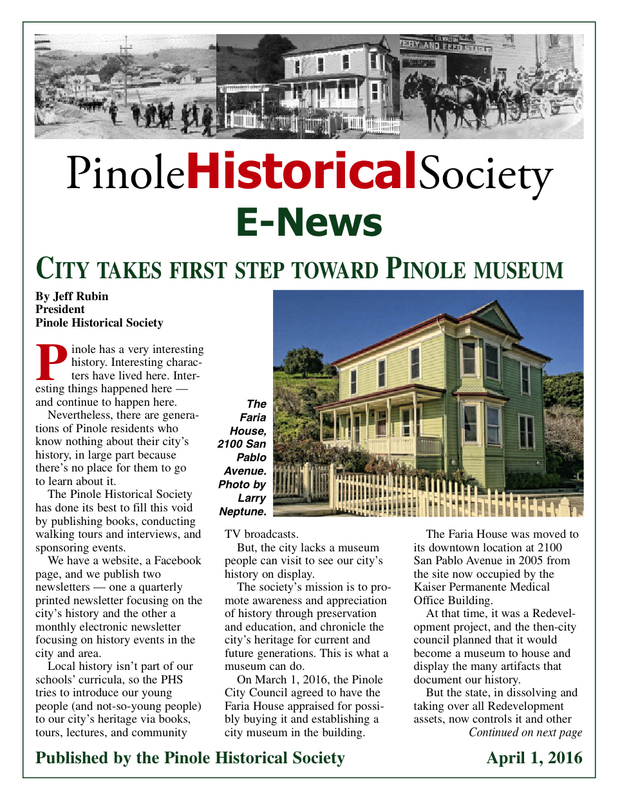 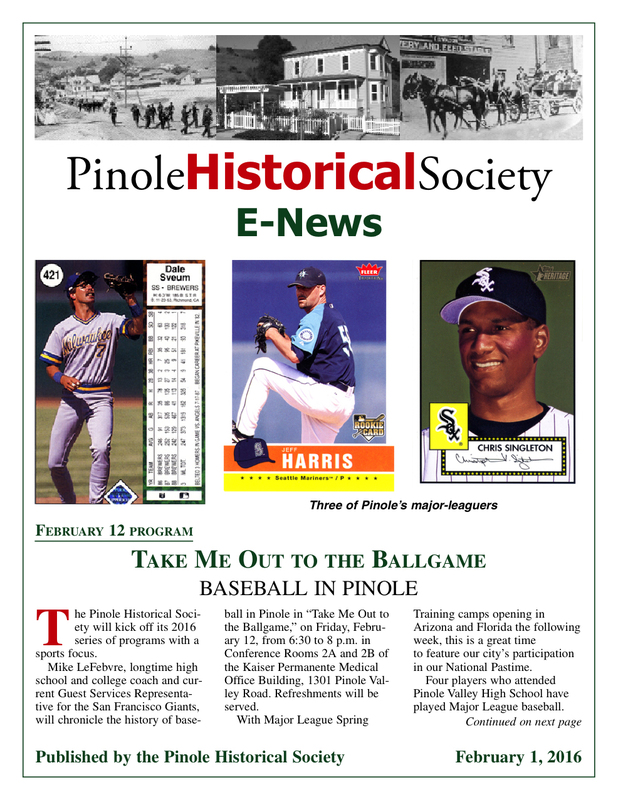 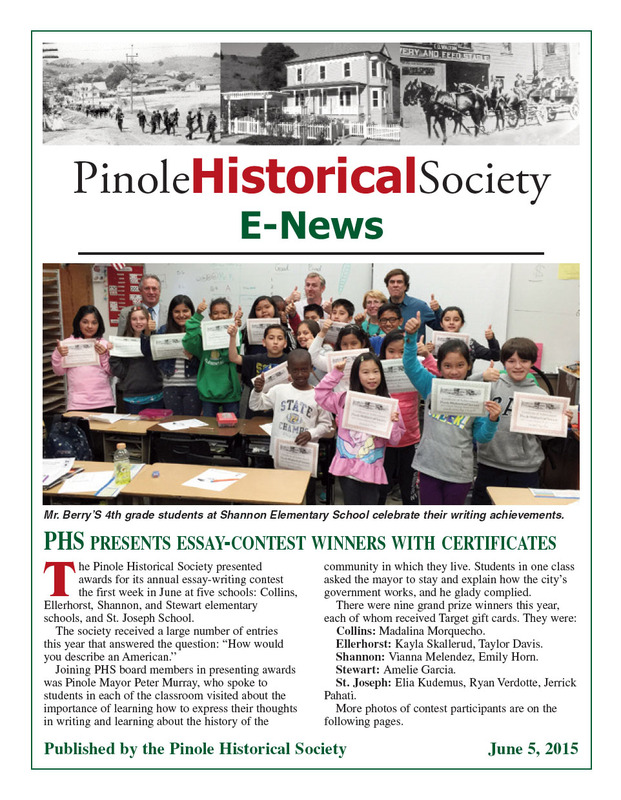 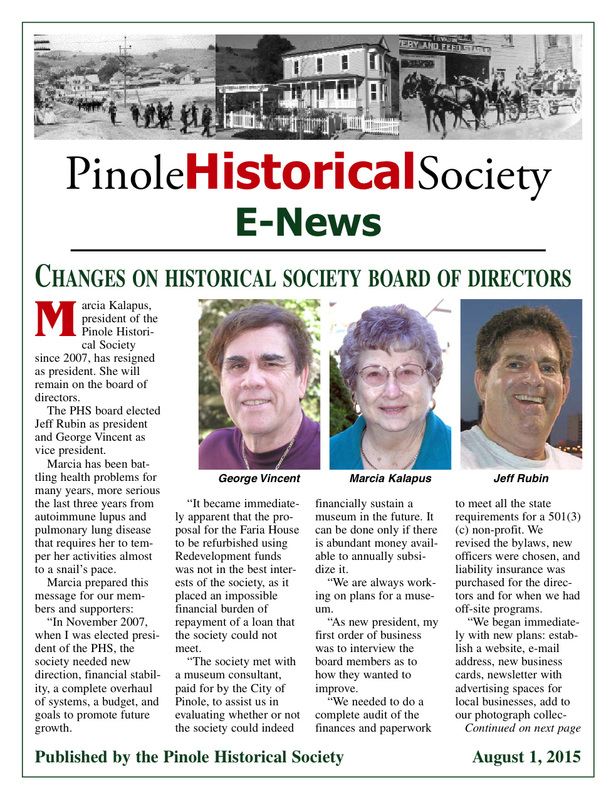 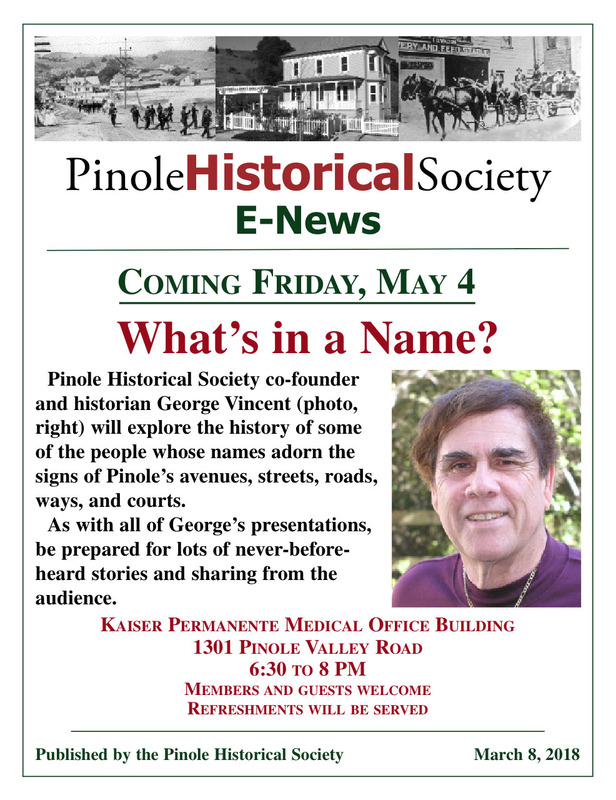 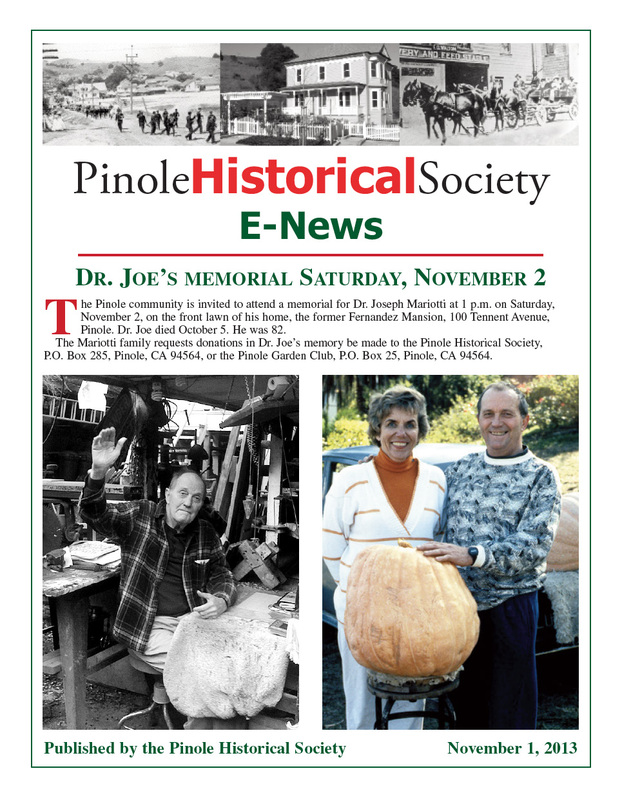 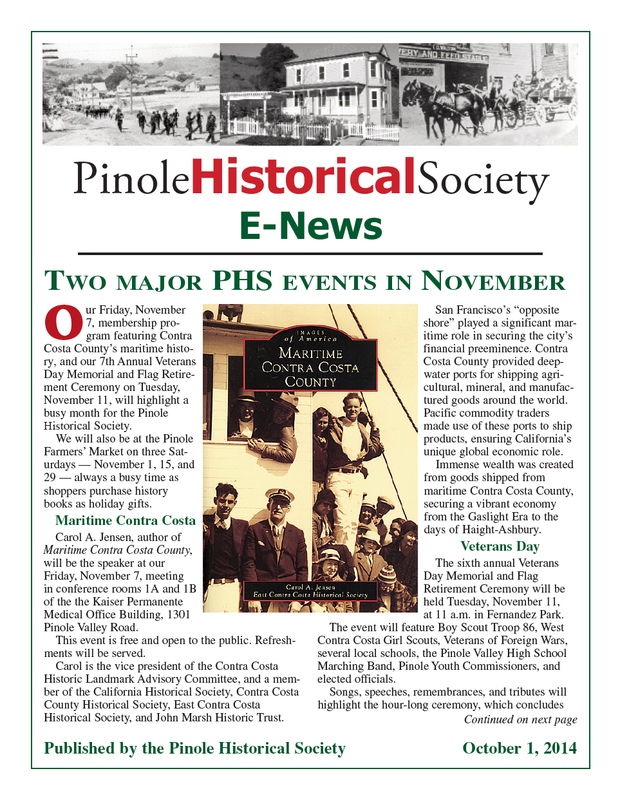 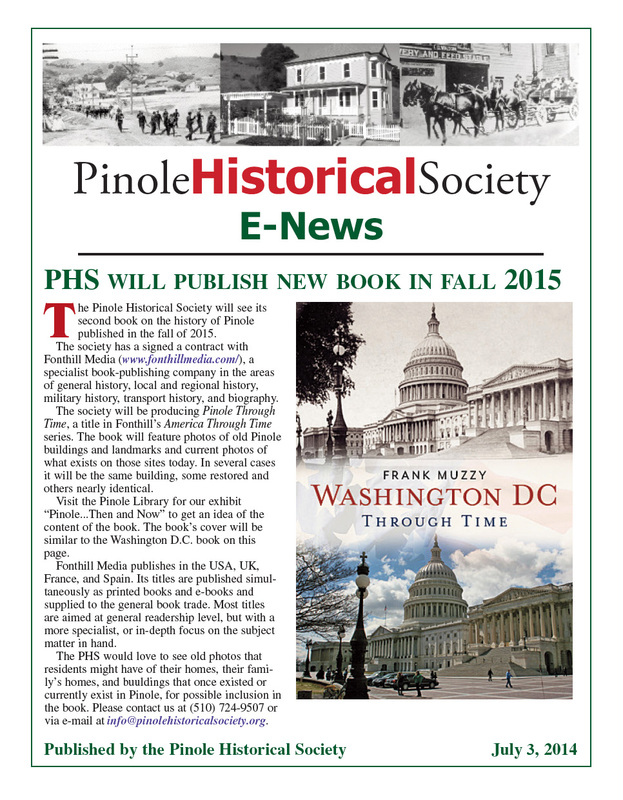 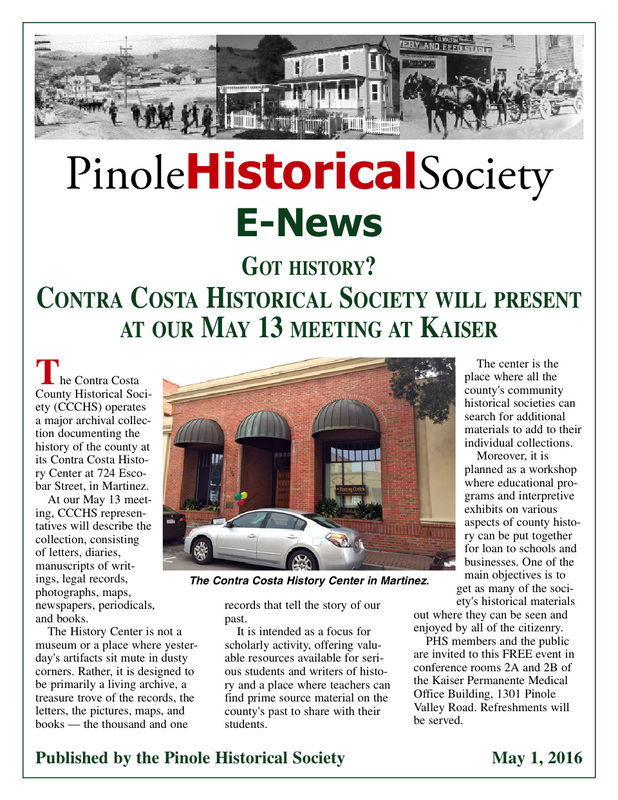 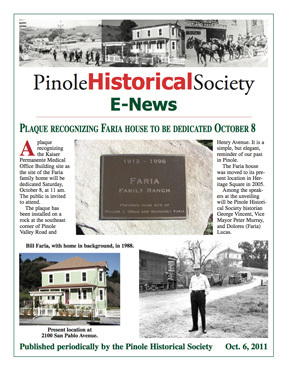 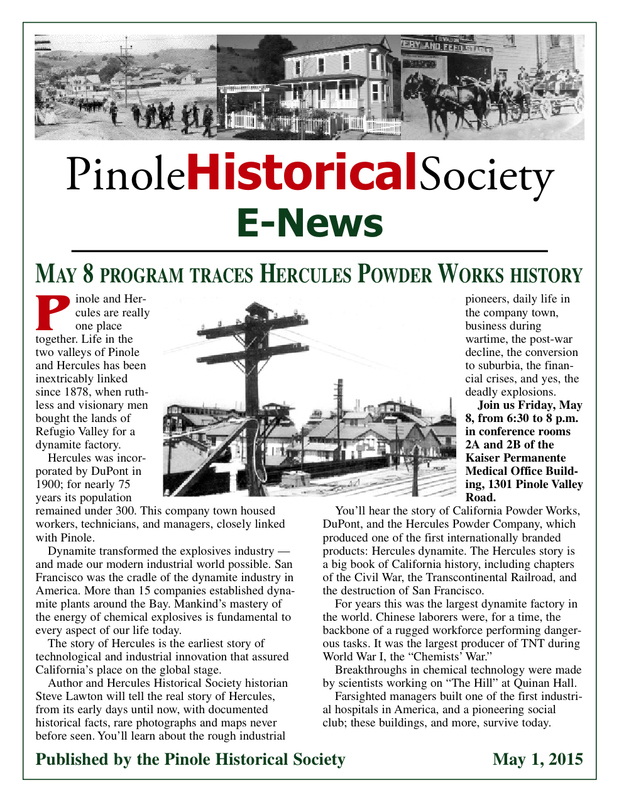 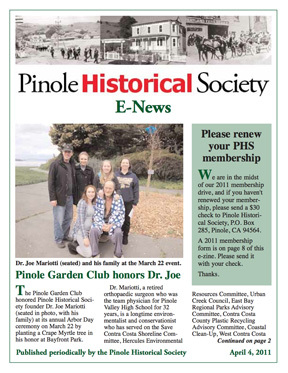 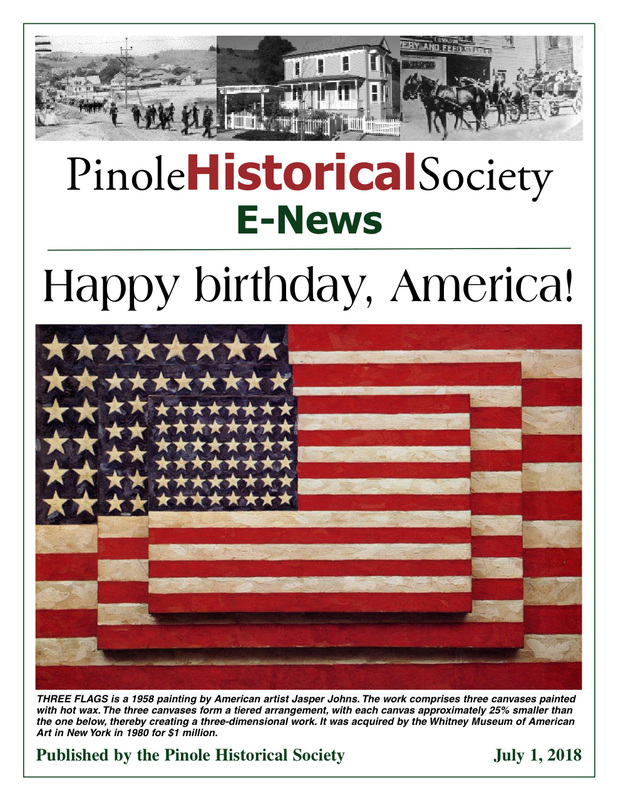 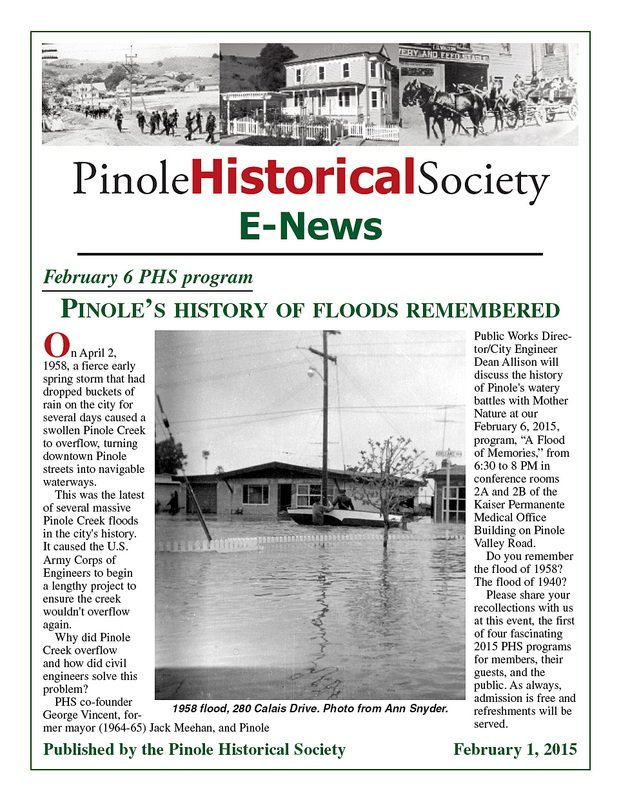 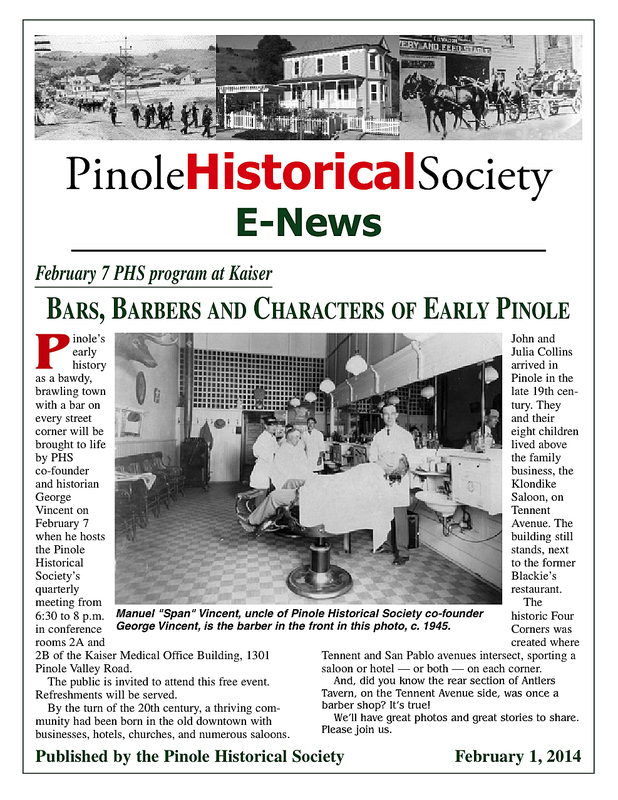 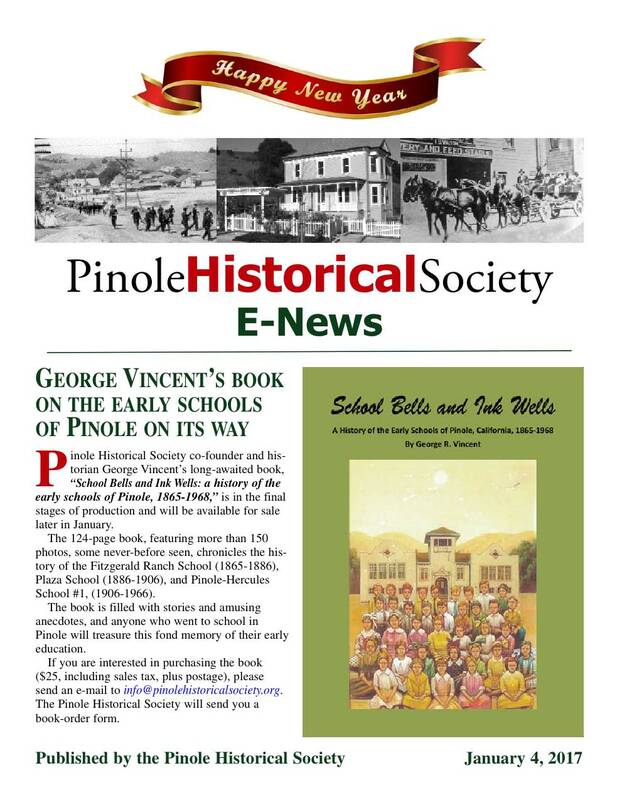 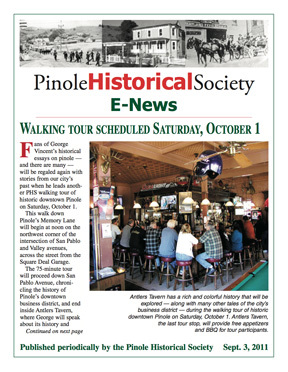 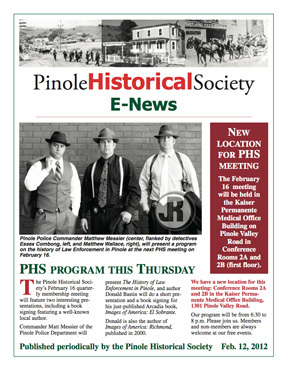 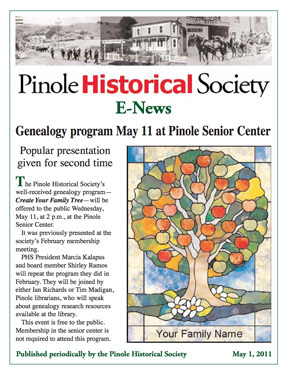 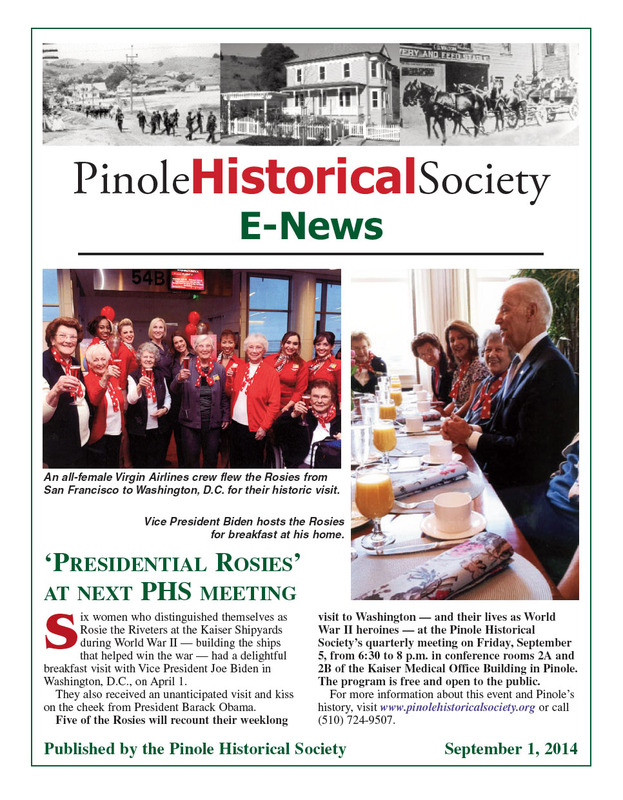 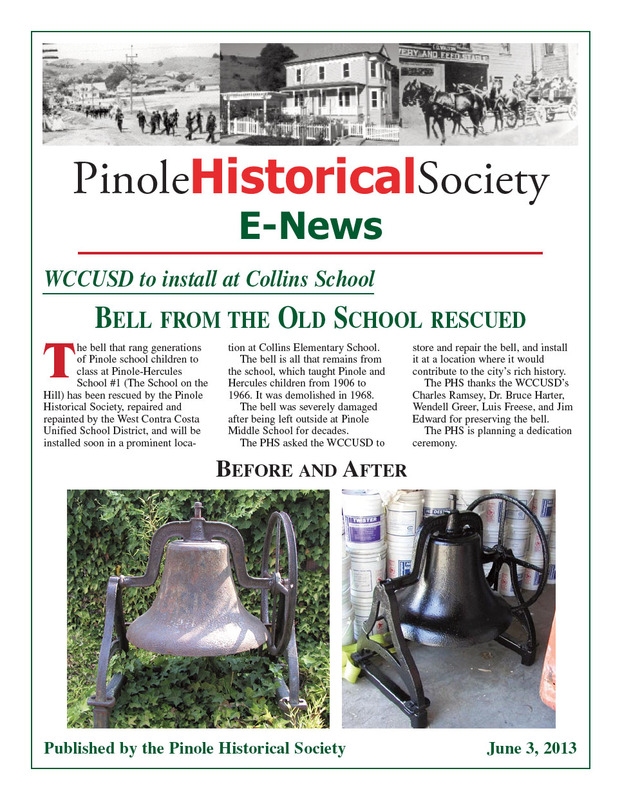 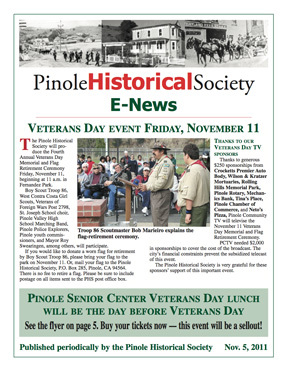 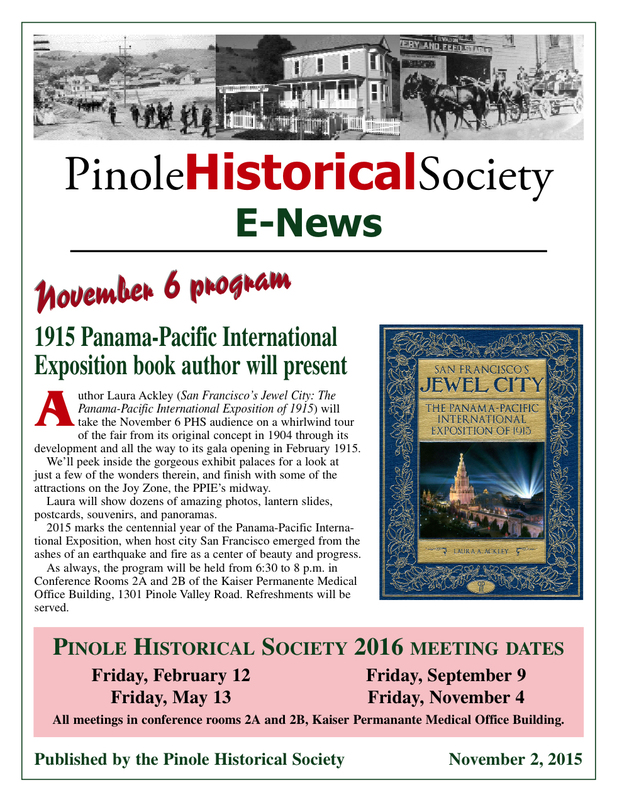 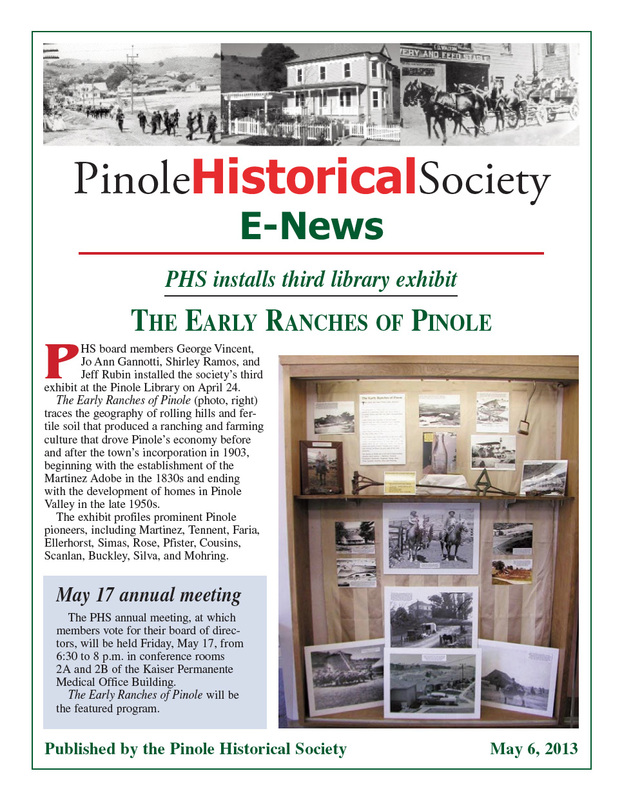 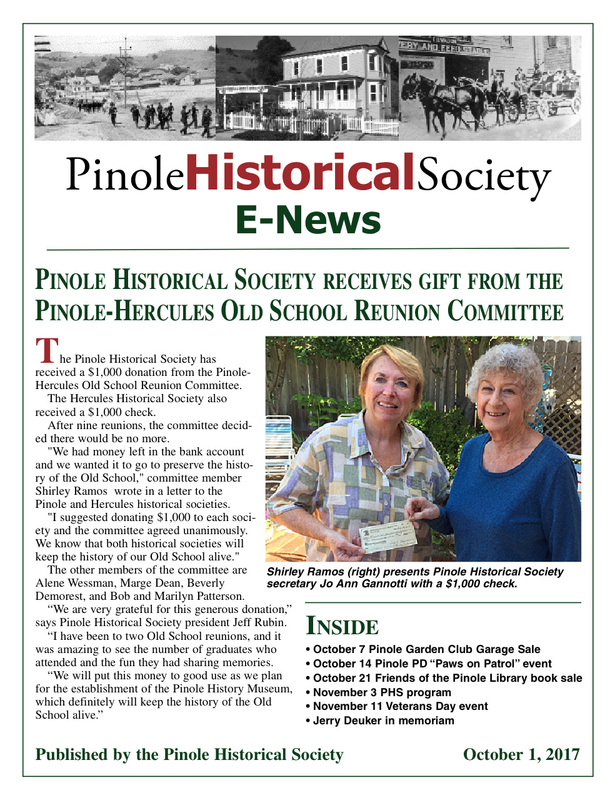 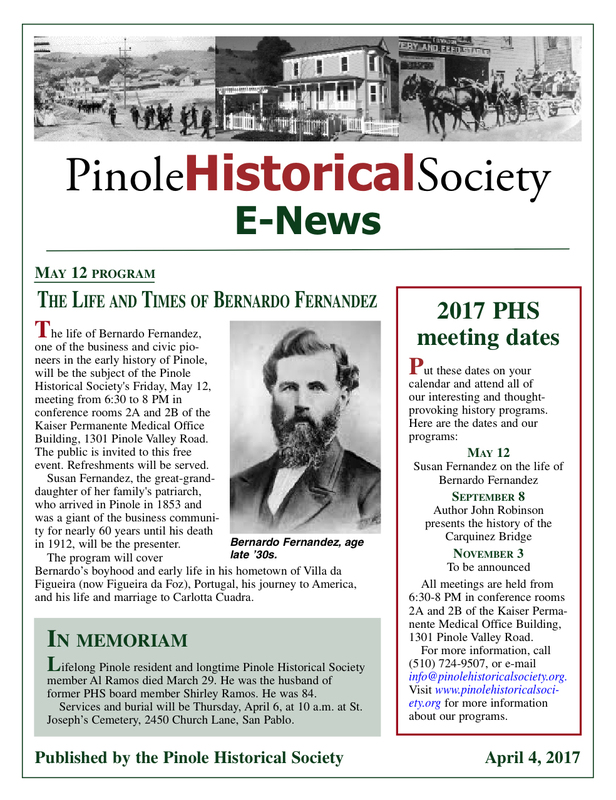 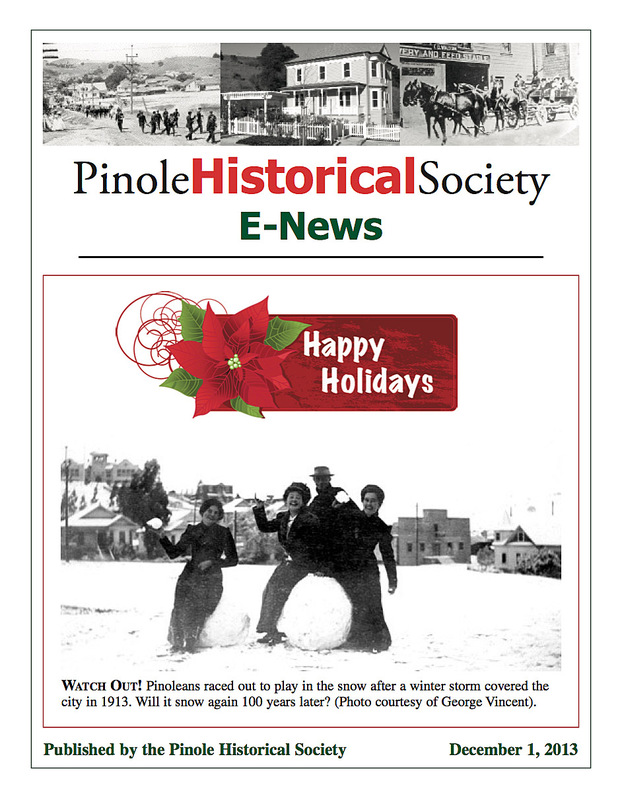 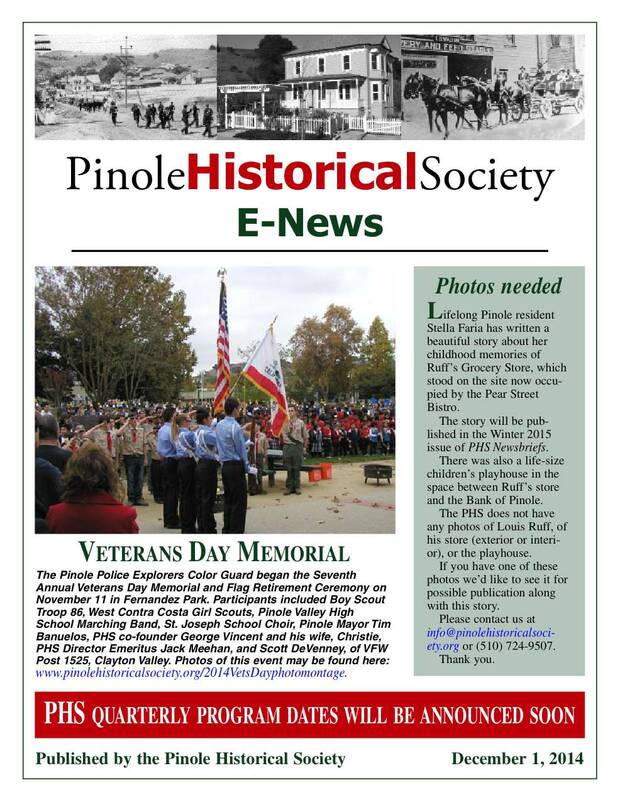 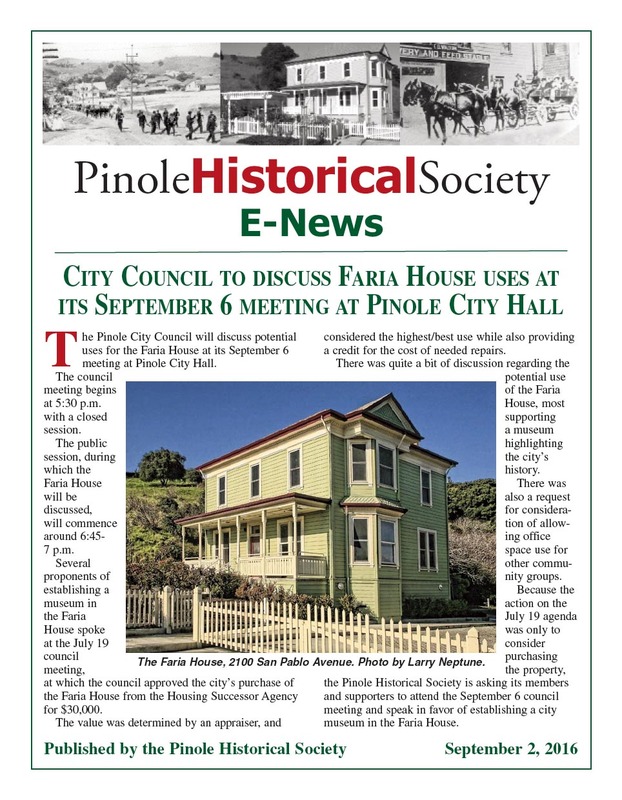 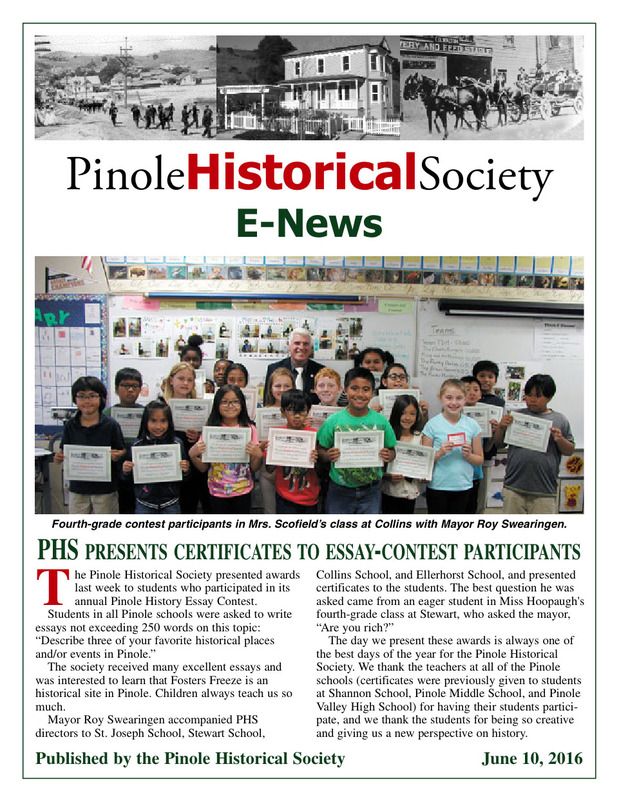 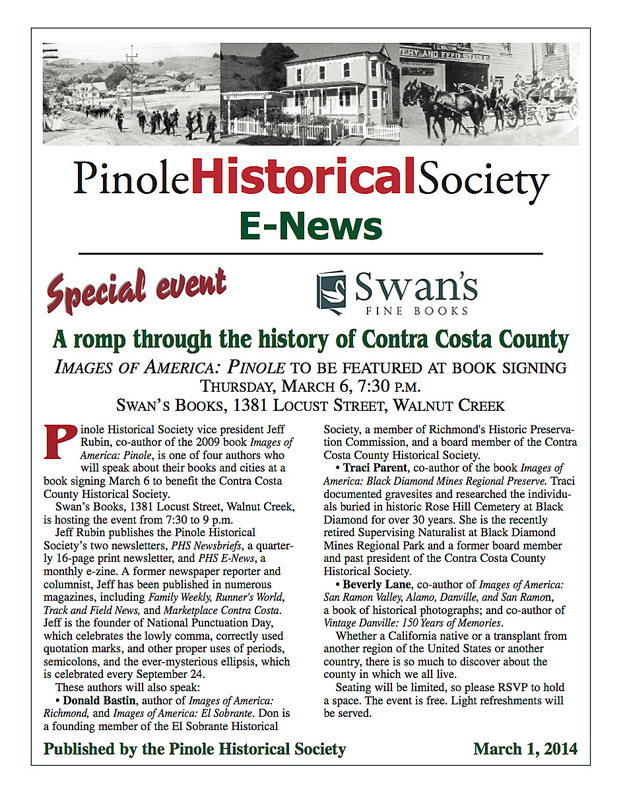 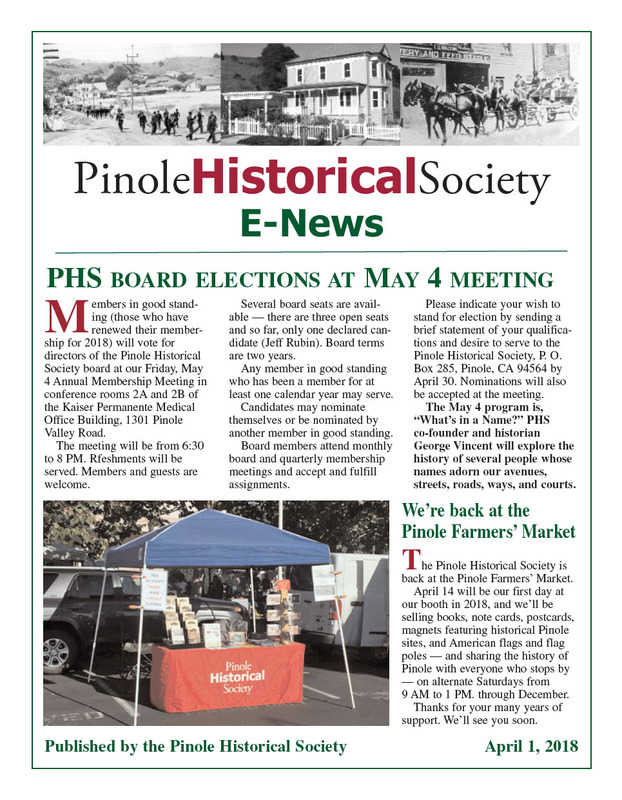 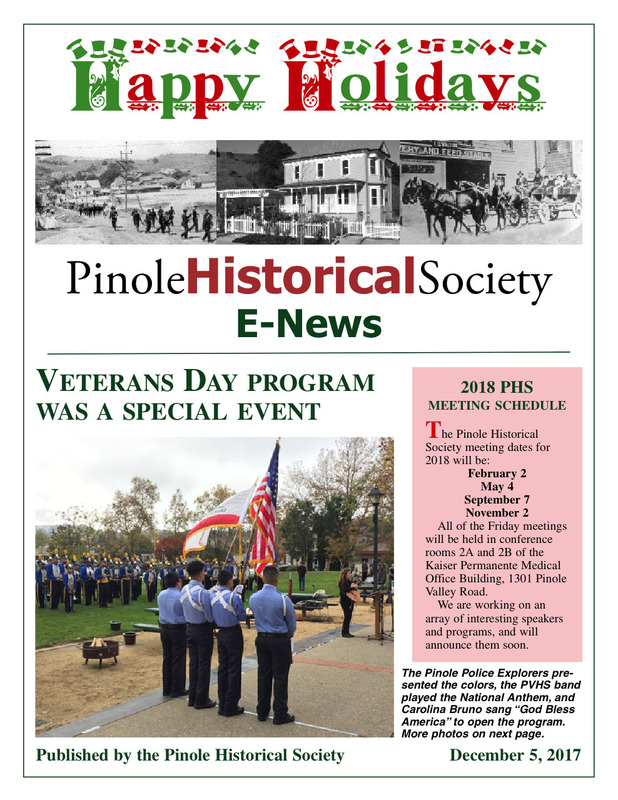 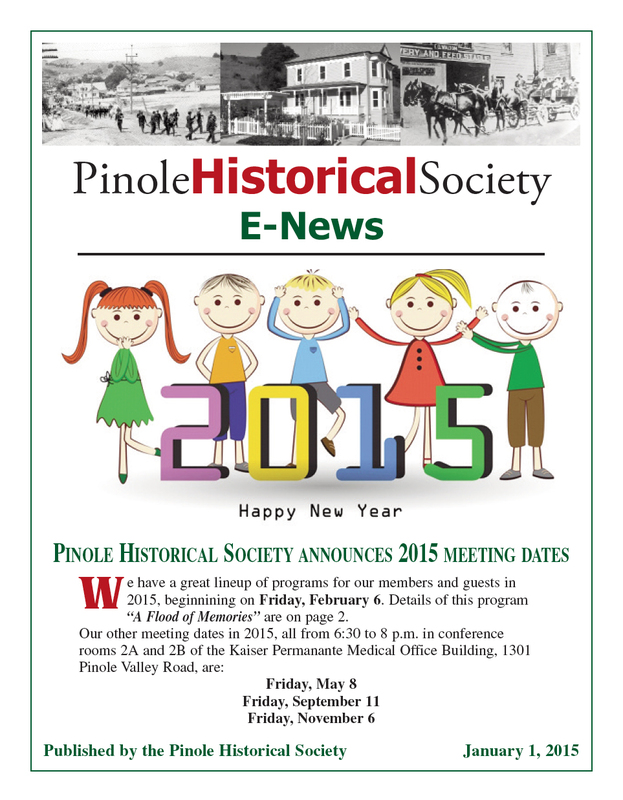 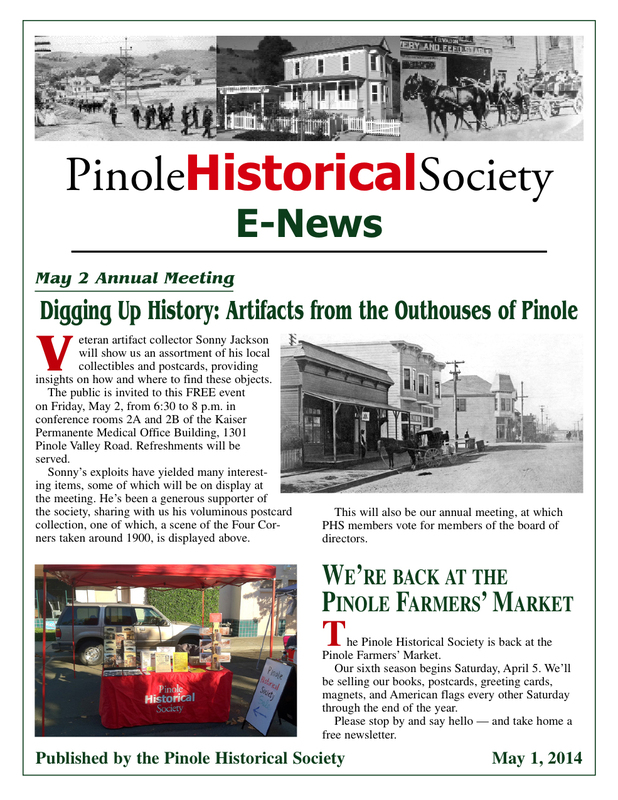 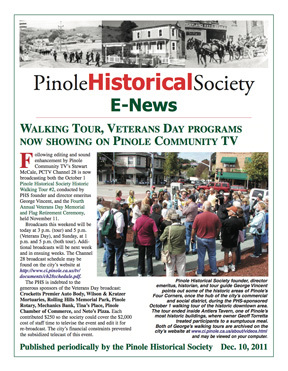 Pinole Historical Society E-News is free and sent to subscribers when we have news to report, usually monthly. 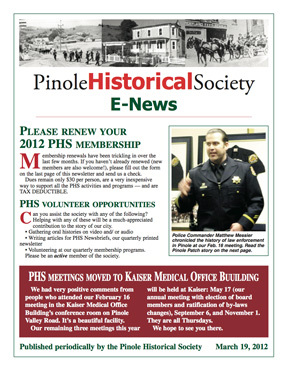 Want to be on our E-News list? 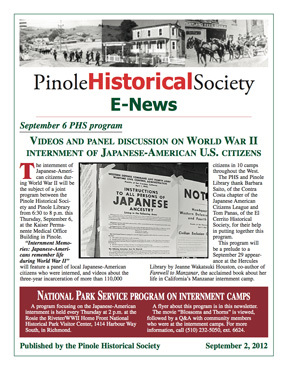 Send an e-mail to info@PinoleHistoricalSociety.org and put “E-NEWS LIST” in the subject line. 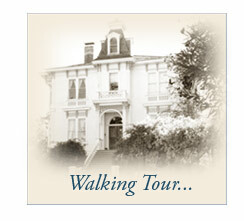 We will add you to our list.